in the Lower Right Corner to Forward the Info. That are no longer with Us : Rest in Peace !!! MANITO, Ill.. ? Aaron C. ?A.C.? Denton, 76, of 39 N. Rustic Lane, Manito, passed away at 2:42 p.m. Friday, Feb. 11, 2011, at his residence. He was born Feb. 17, 1934, in Lewisville, Miss. the son of Carlos and Mauddie McQuinn Denton. He married Janice K. Lindsey on Nov. 4, 1995, in South Pekin. She survives.Also surviving are one daughter, Patricia (Jim) Woods of Ohio; three stepdaughters, Connie (Dale) Hart of Ohio, Lynn (Mark) Barrett of Elkhart, Ind. and Taunya (John) Drowns of Pekin; two stepsons, Kevin Wagner and Kent Wagner both of Pekin; 13 step grandchildren and 17 greatstep-grandchildren. Aaron was an operating engineer for over 40 years, operating bulldozers out of Local 649 in Peoria. He retired in 2009. He was a U.S. Army veteran.He was a member of the Sand Ridge Community Church in Topeka, Hilton Masonic Lodge 1143 AF & AM in East Peoria and the Peoria Sportsman Club in Spring Lake. He formerly raced stock cars at Peoria Speedway and was an avid NASCAR fan. He also enjoyed watching the Cubs, Chicago Bears, and fishing at Spring Lake. Funeral services will be 11a.m. Tuesday, Feb. 15, at Maas Funeral Home in Manito. The Rev. Jared Gregory will officiate. Interment will be in Spring Lake Cemetery. After the committal service, military rites will be conducted by the Hill-Palmer American Legion Post 561 in Manito and the Tazewell County Ceremonial Team. After the interment family and friends are invited to the Sand Ridge Community Church for a luncheon . Alan E. Harmison, 33, of Brimfield for the past five years, died at 1:46 p.m. Monday, Feb. 27, 1995, at Saint Francis Medical Center in Peoria. Born Jan. 19, 1962, in Peoria to Glenn and Sandra S. Dodson Harmison, he married Cheryl L. Pacey on Aug. 3, 1985, in Brimfield. She survives. Also surviving are his parents of Peoria; three daughters, Beth, Emily and Jennifer, all at home; and one sister, Mrs. Rick (Sherry) Bacon of Peoria. His grandparents preceded him in death. PEORIA -- Arthur Sebens, 71, of 420 E. Virginia died at 6:30 p.m. Thursday, Aug. 25, 1994, at his residence. Born Nov. 25, 1922, in Bement to Peter and Mabel Bales Sebens, he married Jean Miller on Jan. 10, 1948, in Peoria. She survives. Also surviving are his mother of Monticello; one son, Steven Arthur of Peoria; four grandchildren; and one brother, James of Monticello. He was preceded in death by one daughter, Peggy Gunter; three brothers; and one sister. Art was a former Peoria Speedway Pit Steward. PONTIAC - Berley E. Dodson, 80, of Pontiac, died 6:55 p.m. Thursday (March 20, 2008) at OSF St. James-John W. Albrecht Medical Center, Pontiac. Cremation rites have been accorded. A memorial service will be at 3 p.m. Wednesday at Martin-Burke Funeral Home with the Rev. Gretchen Stinebaugh officiating. Friends may call one hour before the service at the funeral home. Full military rites will be accorded after the service. In lieu of flowers, memorials gifts may be made to the Franciscan Hospice of Central Illinois. Berley was born May 11, 1927, in Pontiac, a son of Berley C. and Eva (Runyon) Dodson. He married Mary Elizabeth Chapman on Dec. 16, 1950, in Pontiac. He is survived by his wife, Mary Dodson, Pontiac; two sons, Berley ``Buddy'' (Patty) Dodson and Doug (Betty) Dodson, both of Pontiac; one daughter, Cheryl (Roger) Weber, Pontiac; 10 grandchildren, Melissa, Megan, Matt, Jeremy, Joel (Becky), Berley Heath, Lindsay (Brian), Robin (Jamie), Jeff and Jason; seven great-grandchildren, Addison, Bailey, Cayden, Keegan, Haley, Alyssa and Willow; two brothers, Rondell Dodson and DeWayne Dodson, both of Pontiac; and one sister, Mary Louise Meismer, Metamora. He was preceded in death by his parents and one sister. Berley was a plumber, working mostly in the Pontiac area, and had been the city plumbing inspector. He served our country in the U.S. Navy during World War II. He was of the Methodist faith. He was a member of the VFW, the Moose Lodge, the American Legion, and Plumbers and Pipe Fitters Local 99 in Bloomington. 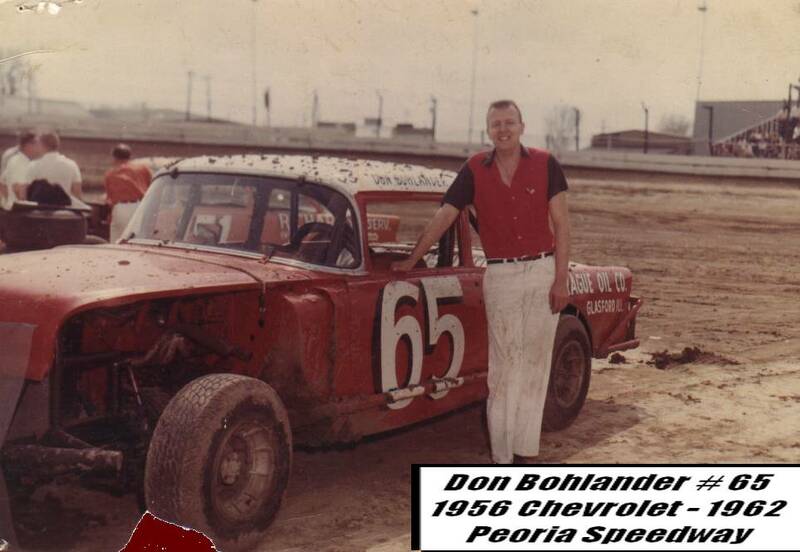 In 1956, he was the Illinois State Championship at Peoria Speedway and he raced until 1965. He was a stock car racer in the Fairbury races. He enjoyed racing, boating and fishing, playing pool and being with his friends at the VFW. BARTONVILLE - Bethanie M. Brandt, 16, of Bartonville, Ill., passed away Saturday, Sept. 29, 2012, at OSF Saint Francis Medical Center in Peoria, Ill. Bethanie was born Aug. 2, 1996, in Peoria, Ill., to Steve and Laura Lewis Brandt.Surviving is her father, Steve of Bartonville, Ill.; mother, Laura Lewis Brandt of Peoria, Ill.; brothers, Steve Brandt Jr. of Bartonville, Ryun Lewis of Springfield, Ill., and Kyle Brandt of Peoria; her sister, Nova Brandt of Peoria; grandfather, William P. Brandt of Bartonville, Ill.; and grandmother, Martha Lewis of Peoria, Ill.Bethanie loved to spend time with family and friends. She would often go with her dad to the different race tracks in the area and watch him race. Bethanie was very accepted in the racing community. She also inspired others and participated in different charities and fundraisers.Funeral services will be at 7 p.m. Wednesday, Oct. 3, 2012, at Davison-Fulton Bartonville Chapel. Visitation will be from 5 to 7 p.m. Wednesday at the funeral home. Cremation rites will be accorded. BARTONVILLE - William "Bill" S. McMahill, 61, of Bartonville passed away at 10:52 p.m. on Sunday, Aug. 19, 2007, at OSF Saint Francis Medical Center in Peoria. Born on Sept. 23, 1945, in Peoria to Clair and Betty Angel McMahill, he married Linda K. Rhoads on Oct. 17, 1970, in Bartonville. He was preceded in death by his parents and one sister, Sandra Csesnegi.He is survived by his wife, Linda of Bartonville; and one son, Robbie (Patricia) McMahill of Bartonville. Also surviving are one granddaughter, Samantha McMahill of Bartonville; three sisters, Shirley (Robert) Miller, Connie Schrock of Chillicothe and Marcia McMahill of Bartonville; and one brother, Steven McMahill. Bill served in the U.S. Army during the Vietnam War. He worked as a truck driver for several area businesses, working last for R.A. Cullinan. He was a member of the Teamsters Local 627, the VFW 3883 and the American Legion Post 979, both in Bartonville. He was a lifelong Cardinals fan and raced stock cars at Peoria Speedway. He enjoyed fishing and loved spending time with his granddaughter. Services will held at 11 a.m. on Thursday, Aug. 23, 2007, at Davison-Fulton Bartonville Chapel, with visitation from 5 to 8 p.m. Wednesday, Aug. 22, 2007, at the funeral home. The Rev. Kenneth Klein will officiate. Burial will be in Parkview Cemetery Chapel of Peace Mausoleum. William "Bill" R. Miller, 83, of East Peoria died Wednesday, December 4, 2013 at Unity Point Methodist Hospital in Peoria. There will be no services. Cremation rites have been accorded. PEORIA - William H. "Bill" Barnewolt, 61, of Peoria died at 10:25 a.m. Tuesday, Feb. 10, 2004, at OSF Saint Francis Medical Center. Born Jan. 11, 1943, in Peoria to George Harris and Gloria E. Gray Barnewolt, he married Bonnie C. Roth on May 9, 1962, in LaSalle. She survives. Also surviving are his mother of Peoria; one daughter, Donella (and Jeff) Groseclose of Scottsdale, Ariz.; two granddaughters; and one brother, Robert of Brimfield. BARTONVILLE - William J. "Billy" Gilmore, age 78, of Bartonville passed away Wednesday, Oct. 16, 2013, at 4:45 p.m. at OSF Saint Francis Medical Center in Peoria. He was born Jan. 17, 1935, in Peoria to Joe and Irene (Vanderhieden) Gilmore. He married Betty Howell. She survives along with one daughter, Evelyn Sauder of Bartonville; one grandson, Robert McIntyre of Bartonville; one sister, Evelyn Mercer of Arkansas; and one brother-in-law, Larry Rilea of Liverpool, Ill. He was preceded in death by his parents; one son, Robert Gilmore; and one sister, Sharon Rilea. During his grade school years, Billy attended the Jacksonville School for the Deaf. He was a machinist for McBride and Shoff Machine Shop in Metamora and also worked at Oscars on Farmington Road in West Peoria for many years. Billy enjoyed stock car racing and fishing with his brother-in-law. The family would like to thank the staff at OSF ICU and HeartCare Midwest for their care and compassion for Billy. He was a member of the Peoria Eagles Lodge and the Peoria Boat Club. Funeral services will be Monday, Oct. 21, 2013, at 2 p.m. at Davison-Fulton Bartonville Chapel in Peoria. Visitation will be one hour prior to the services. Burial will be in Lutheran Cemetery in Peoria. Peoria - William Billy H. Neal, 69, of 5301 N. Koerner Rd, Peoria, IL passed away Wednesday, February 15, 2012 at 3:35 am at Methodist Medical Center, Peoria. He was born April 27, 1942, in St. Louis, MO, the son of William I. and Thelma (Rogers) Neal. He married Carolyn Heller September 18, 1966 in Peoria. She survives. Also surviving are his mother of Peoria, two sisters, Linda Belcher of Peoria and JoAnn (Ron) Barden of Peoria; and several nieces and nephews. Billy owned Peoria Truck Wrecking Company. He was a former member of the Whitecap Drifters Boat Club and a former member of NASCAR. Services will be Monday, February 20th at 10:00 am at Endsley-Sedgwick Funeral Home, Bartonville where visitation will be on Sunday, February 19th from 4 to 6 pm. Roger Kaeb will officiate. Burial will be in Swan Lake Memory Gardens, Peoria. Memorials may be made to the Dunlap Fire Protection District. Robert Graham Farmington - Robert W. "Bagpipes" Graham, 69, of Farmington passed away at 6:36 p.m. Friday, March 27, 2009, at OSF Saint Francis Medical Center in Peoria. Born Feb. 7, 1940, in Peoria to Gavin and May (Crandell) Graham, he married Colleen Susie Thurman in Lewistown on April 7, 1967. She survives, along with two sons, Keith (Tera) Graham of Cuba and Gavin (Elizabeth) Graham of Mapleton; and three grandchildren, Kaitlyn, Kourtney and Kristen. He was preceded in death by his parents and one brother, Thomas Gavin Graham. Robert was a superintendent for P.J. Hoerr in Peoria for 23 years, retiring in 1991. He was a 46-year member of the Farmington Loyal Order of the Moose Lodge 1571, the Alta Masonic Lodge and Labors Local 165 for 45 years. He also was a U.S. Navy veteran. Visitation will be Tuesday, March 31, 2009, from 6 to 7:45 p.m. at the Anderson-Sedgwick Funeral Home, Farmington, with Moose services at 7:45 p.m. and memorial services following. Pastor John Schurter will officiate. Cremation rites have been accorded. Burial of the ashes will be at a later date in Yates City Cemetery. HAVANA, IL - Ira Robert Lascelles, 67, of 653 S. Pearl St. died at 6:30 a.m. Friday, April 23, 1999, at Mason District Hospital. Born Sept. 14, 1931, in Havana to Wilmer and Bertha M. Dierker Lascelles, he married Betty Shoemaker on Nov. 14, 1952. She survives. Also surviving are one daughter, Sandy Duckwiler, and one brother, Vernon, both of Havana; and one granddaughter. One daughter, Vicky, preceded him in death. He operated a Standard gas station in Bath from 1951 to 1952 and a Texaco station from 1952 to 1965. He then operated the Phillips 66 and Bulk Service Station from 1965 until retiring in 1986. He was a member of Havana Southern Baptist Church. Burial will be in Laurel Hill Cemetery. East Peoria - Robert Charles Mooney, 78, of 111 Sunset Drive, East Peoria, died at 9:25 p.m. Sunday, July 8, 2007, at ManorCare of Peoria. He was born on July 31, 1928, in Peoria, the son of Raymond and Olga (Lehman) Mooney. He married Patricia C. Carson on Dec. 4, 1953, in Peoria. She preceded him death on Oct. 4, 2004. Robert is survived by two sons, Michael J. Mooney of Chillicothe and James A. Mooney of East Peoria; one daughter, Linda S. Mooney of Peoria; five grandchildren; and two great-grandchildren. He was preceded in death by his parents and one daughter, Catherine. Robert worked for the Exchange National Bank in Chicago, and in 1977 fulfilled his lifelong dream by developing and operating Rainbow Cove in East Peoria. He was a track announcer for many years at Peoria Speedway. He was a member of the former Arcadia Presbyterian Church, where he had served as a Deacon and Elder and was also a member of the National Alliance for Mentally Ill (NAMI) andPeoria Old Timers Racing Club. Robert was a United States Army veteran. He enjoyed racing and boating. Visitation will be from 6 to 8 p.m. Thursday, July 12, 2007, at Cumerford-Hurd Funeral Home, 428 W. McClure Ave., Peoria. Cremation rites will be accorded. Private burial in Parkview. Cemetery will be held at a later date. Robert ?Bob? G. Wagner, 85, of East Peoria, died Wednesday, Feb. 3, 2010, at 2:10 at Manor Care in East Peoria. Born Aug. 6, 1924, in Peoria to Earl G. and Selma (Geyler) Wagner, he married Bobbie E. Robertson in East Peoria June 27, 1953. She died Jan. 8. He was also preceded in death by one brother, Richard Wagner; one brother-in-law, Kenneth Creek; and one nephew, Kevin Creek. Surviving are two sisters-in-law, Marge Creek of East Peoria and Leah Wagner of Wisconsin. He was a graduate of East Peoria Community High School and the University of Illinois. He was employed as an engineer for Caterpillar Inc. for 17 years and has been self employed for the last 50 plus years. During that time he also worked with his father building houses. 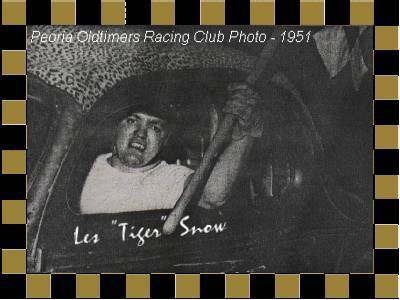 In the 1950s, he enjoyed racing cars. He won trophies in Peoria and also in Nashville, Tenn., and Columbus, Ohio. He was of the Protestant faith. Services were today at Remmert Funeral Home in East Peoria. The Rev. Steve Weber officiated. Visitation preceded the service at the funeral home. Burial was in Fondulac Cemetery in East Peoria. Memorials may be directed to the local American Cancer Society, Arthritis Foundation or the First Baptist Church, 600 E. Washington Street, East Peoria, IL 61611. MORTON ~ Elberta Anne ?Bootie? Strube, 70, of Morton, passed away at 1:23 a.m. Sunday, September 11, 2016 at OSF St. Francis Medical Center in Peoria. She was born May 8, 1946 in Pekin to Elbert Irwin and Lois Anne (Dickerson) Ball. Surviving are her mother, Lois ?Polly? Ball of Morton; one son, Henry ?Buddy? (Melissa) Strube of Mahomet; three grandchildren, Jessica Strube, Nicole Strube, both of Peoria and Aleksander Strube of Mahomet; one great-granddaughter, Blake; one sister, Barbara ?Bobbi? (Bill) Baum of Bandera, TX; two nephews, Chuck (Farrah) Bahnfleth of Augusta, GA and Billy Bahnfleth of Bandera, TX and one niece, Angi (Mark) Lensmeyer of East Peoria. She was preceded in death by her father and one niece, Teri Sue Bahnfleth. She was a dedicated caregiver for her mother and others. She also worked at Peoria Speedway for their Saturday night races for many years. She enjoyed watching motorcycle dirt track races and also stock car races. A memorial visitation will be held from 5 to 7 p.m. Thursday, September 15, 2016 at Preston-Hanley Funeral Homes & Crematory in Pekin. Her graveside funeral will be at 10 a.m. Friday at Glendale Memorial Gardens in Pekin, with Rev. Kurt Mews officiating. The family invites friends to wear casual dress. Bootie loved AMA PRO RACING with all her heart, and gave a lot to the sport! She opened her home to many racers, and their families when they were away from home. She was a fan and supporter her whole life, and her kindness continues. Brad passed away in December of 2001. was a driver at Peoria Speedway in early and mid 60s. like many he started out in flathead fords. a 49 then a 53 as i recall. later drove a red #25 56 ford. these cars were build by his brother Phil who survives. MORTON - Services for Candace L. ''Candy'' Wisher, 47, of Morton will be at 10 a.m. Wednesday at Wilton Mortuary in Peoria. The Rev. Vernon Betterman will officiate. Visitation will be from 5 to 8 p.m. Tuesday. Burial will be in Swan Lake Memory Gardens in Peoria. She was pronounced dead at 12:46 a.m. Saturday, Sept. 14, 2002, at Illini Hospital in Silvis. She died in an automobile accident in Rock Island County. Born Feb. 25, 1955. Carl Ervin Seelye Jr., 72, of 349 Caroline St., passed away at 12:47 a.m. Tuesday, Jan. 19, 2010, at Pekin Hospital. Born May 18, 1937, in Pekin to Carl Wayne and Ludicey Berniece Taylor Seelye, he married Susan Lee Straley on Jan. 16, 1959, in Pekin. She survives. Also surviving are two sons, Bill E. Seelye and Chuck L. Seelye, both of Pekin; three daughters, Carla Irvin, Janice Seelye and Barbara Brown, all of Pekin; 10 grandchildren; 11 great-grandchildren; and one sister, Peggy Null of Pekin.He was preceded in death by his parents, one sister, two brothers, one grandson and one great-granddaughter. Carl was a member of the International Union of Operating Engineers Local 649 in Peoria, working as a heavy equipment operator for 40 years, retiring in 2002. 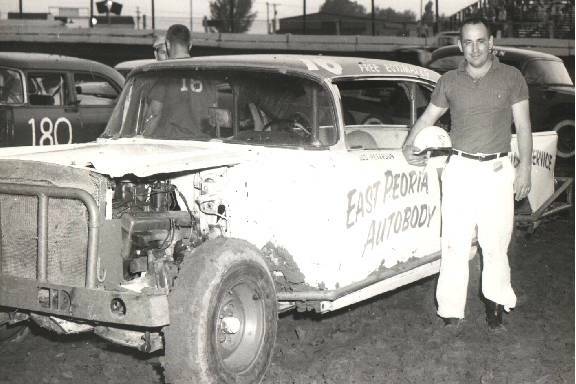 In the late 1950s, Carl enjoyed stock car driving at the Peoria Speedway. He started the Seelye Family Texas Hold ?Em poker tournament. He also enjoyed fishing, playing pool and playing the organ. He enjoyed his last day on the Par-A-Dice Casino boat on Monday with his wife and daughter, Barb. Visitation will be from 6 to 8 p.m. Thursday at Preston-Hanley Funeral Home, Pekin Chapel. Services will immediately follow visitation with Ron Little, chaplain, officiating. Cremation will be accorded following services. PEORIA - Carla J. Bennett, 42, of Peoria died at 3 p.m. Friday, Feb. 9, 2001, at her residence. Born May 13, 1958, in Peoria to Dale and Peggy GilmoreMyers, she married Daniel A. Bennett on Dec. 24, 1984, in Peoria. PEORIA - Charles Allen ''Chuck'' Hamilton, 50, of Peoria died at 10:25 p.m. Thursday, April 25, 2002, at OSF Saint Francis Medical Center. Born Nov. 8, 1951, in Peoria to Harold ''Hank'' and Thelma Thrasher Hamilton, he married Patricia C. ''Patsy'' Butler on June 2, 1973. He later married Sherrie Elgin on April 29, 1988, in Watertown, N.Y.
Speedway owner held fast to stock-car foundation. Working with Peoria Speedway owner/promoter Chuck Hamilton was such a pleasure. Hamilton died Thursday night at the age of 50 after having open-heart surgery April 15. Count me among the many who will miss him very much. Always accessible and ready with an explanation or comment during even the most difficult or frustrating times, Hamilton also was helpful to new reporters we sent to cover events at his racetrack. Peoria llinois ..... Charles "Chuck" L. Hurn, 68, of Peoria passed away at 6:28 a.m. on Wednesday, June 29, 2011, at Manor Care at Riverview in East Peoria. He was born on June 16, 1943, in Lauderdale County, Ala., to Tonis and Nadine (Morgan) Hurn. He married Carolyn S. Golden on June 29, 1963, in Ramah, Tenn. He was preceded in death by his parents and one brother, Ray Hurn. Surviving are his wife, Carolyn of Peoria; two children, Sandra Dean (Steve) Hurn Newsam of Atlanta, Ga., and Daniel Wayne (Bethany) Hurn of Peoria; and four grandsons, Caleb and Austin Newsam and Jared and Cody Hurn. Also surviving are one sister, Brenda (Keith) Balch of Lexington, Ala.; and several nieces and nephews. He worked for Caterpillar Inc. for many years and worked as an instructor with marketing until retiring in 2002. He was also the owner and operator of CDSC Video Productions in Peoria until falling ill this year and was a member of the Cedar Hills Baptist Church. 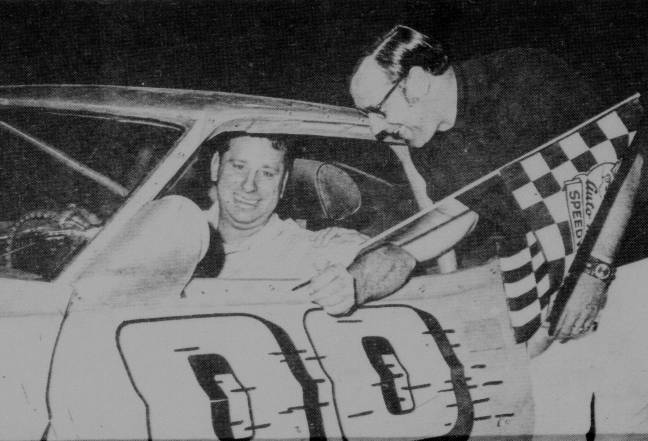 Chuck loved stock car racing and was a 1971 amateur champion. 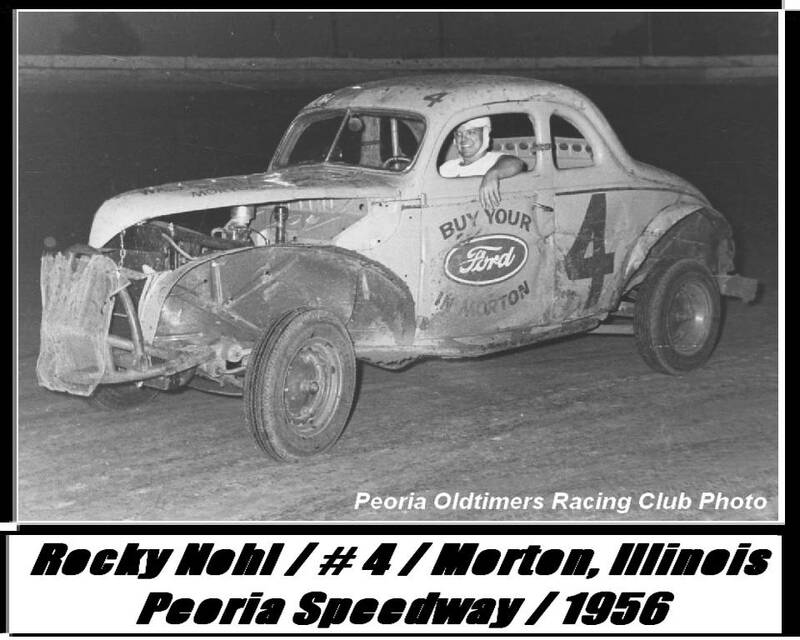 He raced at the Peoria Speedway and several other tracks throughout the country, including East Moline and Freeport. Chuck enjoyed spending time with his family and friends and traveling, especially out west. A visitation will be held Friday, July 1, 2011, from 12 noon to 2 p.m. with the funeral following the service at Davison-Fulton-Woolsey-Wilton Funeral Home in Peoria. The Rev. Mike Betencourt, Tim Beddingfield and Richard Springsteen will officiate. A second visitation and service is scheduled for Sunday, July 3, 2011, from 1 to 3 p.m. with the service following at Neal Funeral Home in Lawrenceburg, Tenn. Burial will follow the service in Mimosa Cemetery in Lawrenceburg, Tenn.
PEORIA -- Chuck Taylor, 48, of 3416 N. Gale died at 11:40 a.m. Thursday, June 20, 1996, at his home. He was born Feb. 1, 1948, in Edmond, Okla., to Charles and Verna Brown Taylor. Surviving are his parents of Mesa, Ariz.; two sons, Tony of East Peoria and Michael of Peoria; one sister, Linda Westart of Chillicothe; one niece; and one nephew. He was an Army veteran. He was a mechanic in the Peoria area for many years. He was a member of NASCAR and the Peoria Oldtimers Racing Club. PEKIN ~ Clyde Albert Dagit, 74, of Pekin, passed away at 4:50 a.m. Thursday, July 7, 2016, at his home.Born October 10, 1941, in Cincinnati Township, Tazewell County, to Clyde Edward and Dorothy (Taylor) Dagit, he married Joyce K. Althoff on April 20, 1973, in Quincy. She survives.Also surviving are two daughters, Lori (Jim) Dinquel and Nicole (Shannon) Atkins, both of Pekin; one son, Dana (Noelle) Dagit of Glen Burnie, Maryland; one stepson, Michael Logan of Cabot, Arkansas; five grandchildren; three stepgrandchildren and two sisters, Delores (Curt) Melton of Tucson, Arizona and Thelma (Al) Dirceto of Las Vegas, Nevada.He was preceded in death by his parents, one stepdaughter, Kristina Logan and two sisters, Loretta Huss and Claudette Jones.Clyde worked out of the Millwright Local Union 1051 in Lincoln for 40 years, retiring in 2005. He also owned and operated Double D's in Pekin for 12 years, retiring in 2015He enjoyed the outdoors, especially hunting. He also enjoyed tinkering in his garage and was able to build anything imaginable.Clyde's true love was stock car racing. He raced his #0 Dodge Charger at Peoria Speedway for many years in the early 1970's before joining the United States Auto Club circuit. He then raced NASCAR for four years, including tracks at Daytona, Talladega, Rockingham and Michigan International Speedway.His funeral will be at 10:30 a.m. Wednesday, July 13, 2016, at Preston-Hanley Funeral Homes & Crematory in Pekin. The Rev. James C. McClarey will officiate. Visitation will be from 5 to 7 p.m. Tuesday at the funeral home. Burial will be at Prairie Haven Cemetery in Pekin.Memorial contributions may be given to the donor's choice. EAST PEORIA - Coy G Holt, 85, of East Peoria, IL, formerly of Jackson, TN, died at his home at 7 a.m. Saturday, July 2, 2016.He was born May 20, 1931, in Lexington, TN, the son of Clifton and Rusha Blakney Holt. He married Nettie Maness in Corinth, Mississippi, in 1949. He later married Vivian Loree on May 14, 1970.Coy is survived by his wife of 46 years; one daughter, Donna (Larry) Bruell of East Peoria; one son, Danny (Delores) Holt of East Peoria; one stepdaughter, Janice (Jim) Bevard of East Peoria; one brother, Jerry (Lila) of Jackson, TN; two sisters, Margaret (Harriel) Davis and Melba Jo Kendall, both of Jackson, TN; eight grandchildren; sixteen great-grandchildren; and one great-great-grandchild.He was preceded in death by his parents and one brother, Kenneth Holt. Coy loved racing and raced at the Peoria Speedway and other local tracks in the Midwest for many years. He also loved following NASCAR racing. He worked in the Transportation Department at Caterpillar for 31 years, retiring in October of 1982.He was a member of Union Grove Baptist Church of Beech Bluff, TN.Services will be at 2 p.m. Wednesday, July 6, 2016, at Remmert Funeral Home. Visitation will be one hour prior to services. Pastor John Plunkett will officiate. Burial will be in Fondulac Township Cemetery. PEORIA - Dale C. Hougham, 75, of Mesa, Ariz., formerly of Peoria, died Friday, May 23, 2003, at Odyssey Hospice in Mesa. Born June 29, 1927, in Peoria to Franklin and Nina Farnam Hougham, he married Barbara Short on Nov. 15, 1952, in Peoria. She preceded him in death. He also was preceded in death by two brothers and three sisters. Surviving are one daughter, Linn Cunningham of Mesa; two sons, Danney of Peoria and Timothy of Mesa; six grandchildren; and one great-granddaughter. PEORIA - Dale L. Jordan, 71, of Peoria, Ill., passed away Tuesday, Jan. 1, 2013, at OSF Saint Francis Medical Center. Dale was born Nov. 19, 1941, in Peoria, Ill., to Hugh and Virginia Mason Jordan. He married Carolyn Stevens on Feb. 2, 1971. Surviving are his wife, Carol Jordan of Peoria, Ill.; daughter, Amy (Dana) Smith of Peoria, Ill.; son, James (Melanie) Davis of Morton, Ill.; seven grandchildren; two brothers, Floyd (Marla) Jordan of North Pekin, Ill., and Tom Mason of Seattle, Wash.; his sister, Sandra (Ronald) Cusack of Edwards, Ill.; and several nieces and nephews. Dale was preceded in death by his parents, three sisters and one brother. Dale worked for Gateway Freight Lines, where he owned and operated his own truck until retiring in 2006. CREVE COEUR - Dale M. ''Buddy'' Morris, 66, of 209 Earl Ave. Died at 8:05 a.m. Saturday, Aug. 10, 2002, at his residence. Born June 23, 1936, in Blemont to St. Elmo and Ruby Burton Morris, he married Wilma Kleinschmidt on March 7, 1959, in East Peoria. Also surviving are five daughters, Tammy (and Tim) St. Clair of Delavan, Connie (and Brad) Herbig of Manito, April (and Dennis) Roberson of Washington, and Melissa Morris. Dale E. Vance, 83, of Mansfield, IL passed away at 10:30 A.M., Monday, April 3, 2017 at his residence. Funeral Service will be at 12:00 P.M., Friday, April 7, 2017 at the Mansfield United Methodist Church with Pastor Ed Davis officiating. Burial will be in Mansfield Cemetery, Mansfield, IL. Visitation will be from 10:00 A.M. ? 12:00 P.M., Friday, April 7, 2017 at the church. Memorials may be made to Northern Piatt Fire Protection District or Mansfield United Methodist Church. Calvert-Belangee-Bruce Funeral Home, Mansfield in charge of the arrangements. Dale was born March 18, 1934 in Monticello, IL, a son of Floyd and Blanche Headlee Vance. He married Elaine E. Welch on August 30, 1954 in Cornith, MS. She passed away February 22, 2013. Survived by his son, Mark (Sherri) Vance of Mansfield, IL; daughter, Melissa (Tom) Williams of Champaign, IL; grandchildren, Krystal Vance; Ashley (Sam) Curtis; Corey Johnson; Chelsea (Kelly) Johnson; Brandon Cummins; Dillon (Olivia) Williams; Marissa Williams; great-grandchildren, Trevor Morgan; Robert Morgan; Blake Morgan; Braiden Vance; Kamdyn Hinshaw; Brantley Curtis; Journee Curtis; Presley Johnson; Avery Johnson; Sophia Cummins; sister, Norma Jean Kinsell of Saybrook, IL. Preceded in death by his wife, Elaine Vance; parents; and daughter, Melinda Jenkins. He was a retired carpenter and a member of the Carpenters Local Union 44, Champaign, IL. Dale was a member of the Mansfield United Methodist Church. He drove stock cars for many years, enjoyed fishing, hunting, NASCAR Racing, and an avid Chicago Cubs fan. PEORIA - Darrel S. Melvin, 52, of Peoria died at 3:35 a.m. on Wednesday, June 13, 2007, at his residence.He was born on May 2, 1955, in Peoria to Robert W. and Betty B. Bundy Melvin. He was married to Jody Blaylock and then he later married Deborah Cape. He was preceded in death by his parents and one sister, Nancy Thaller.Surviving are two sisters, Connie Allsup of Peoria Heights and Linda (and Lon) Carr of Peoria. Also surviving are four nieces and four nephews, and 19 great-nieces and great-nephews. He previously worked at Caterpillar Inc. until 1982 and owned and operated his own towing business. He then worked at SC2 for 18 years.He was a member of the NASCAR Association and was a race car driver at the Peori Speedway for many years. He also had been captain of several pool leagues.Services will be at noon on Saturday, June 16, 2007, at Deiters Funeral Home in Washington, where visitation will be from 10 a.m. to noon. The Rev. Bill Cordes will officiate. Cremation rites will be accorded after services. Burial of remains will be at a later date in Swan Lake Memory Gardens in Peoria. CEDAR RAPIDS - Darrell Clair Dake, 79, of 6505 Mount Vernon Rd. SE, Cedar Rapids, passed away Monday, Aug. 6, 2007 in his home, of cancer. Celebration of Life: 1 to 4 p.m. Monday at Cedar Memorial Funeral Home, Cedar Rapids. A private family burial will be held at Campbell Cemetery. Darrell is preceded in death by his parents, Wilmer Dake and Madeline Cilvick; his brother, Denny Dake; and his daughter, Diane Streeper. Darrell is survived by his wife, LaVerle; his children, Ronnie Dake, Theron (Josie) Manson, and Pamela Boston, all of Cedar Rapids; Maureen (David) Kilfoile of Coral Springs, Fla.; LuAnn (Gene) Pierce of Des Moines; a son-in-law, Jerry Streeper of Maquoketa; nine grandchildren; and six great-grandchildren. Darrell was born Aug. 11, 1927, in Palo, and united in marriage to LaVerle on Oct. 27, 1961, in Shreveport, La. Darrell enjoyed a long and successful career in auto racing. He raced twice in the Daytona 500, in 1960 and 1961. 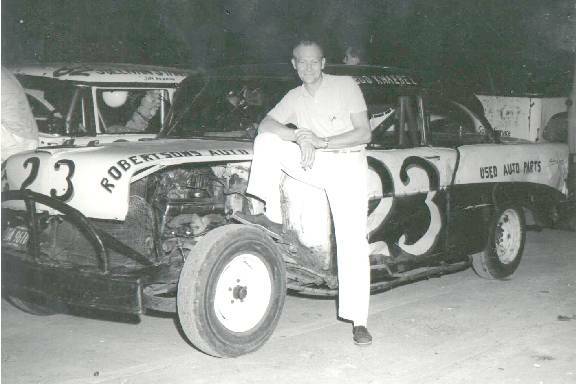 He once said a memorable moment was in 1960 when he finished fourth in the 125-lap qualifier race for the Daytona 500 and the fifth-place finisher in that race was Lee Petty. NORTH PEKIN - Wilbur Dean Hunt, 74, of 29 Park Drive died at 12:20 p.m. Sunday, Dec. 9, 2001, in the intensive care unit at OSF Saint Medical Center in Peoria. He was born June 16, 1927, in Decatur to Paul and Hallie Harlow Hunt. Surviving are two sons, Jeffrey and Larry (and Cindy), both of Peoria; two daughters, Rene (and Ross) Smith of East Peoria and Angela Hunt of Pekin; two brothers, Robert (and Donna) of Bellevue and James (and Nancy) of Kailua, Hawaii; Mary Hickey. BLOOMINGTON ? Delmar E. Vance, 77, of Bloomington died at 4:15 a.m. Saturday (Nov. 27, 2010) at his residence. His funeral will be at 10 a.m. Wednesday at Calvert & Metzler Memorial Home, Bloomington, with Deacon Bob Hermes officiating. Burial will be in Wiley Cemetery, Colfax, with military honors from Bloomington-Normal American Legion Honor Guards accorded. Visitation will be from 4 to 7 p.m. Tuesday at the memorial home. Memorials may be made to Cedar Lake Fellowship Inc., P.O. Box 513, Bloomington, IL 61702-0513. Calvert & Metzler Memorial Home, Bloomington, is in charge of arrangements. He was born July 11, 1933, in Colfax, a son of Daniel Webster and Stella Mae Blundy Vance. He married Judy Thornton on July 11, 1956. Surviving are two daughters, Debra (Randy) Fulkerson of Normal and Susan Nafziger of Towanda; two sons, Rodney (Linda) Vance of Shirley and Richard Todd (Loretta) Vance of Normal; eight grandchildren, Marc Starke, Deric Walsh, Jessie Hough, Kambria Vance, Kiara Vance, Joshua Vance, Shane Nafziger and Samantha Harris; four great-grandchildren, Ty Starke, Jake Starke, Kyra Hough and Jack Walsh; and two sisters, Alice (Marion) Welsh, age 98, of Gridley; and Gladys (Don) Jacobs, age 97, of Lexington. He was preceded in death by five brothers and a sister. Delmar was a U.S. Army veteran who served in the Korean War. He graduated from Lexington High School in 1953. He retired from Nussbaum Trucking in 1995 after 25 years of service. 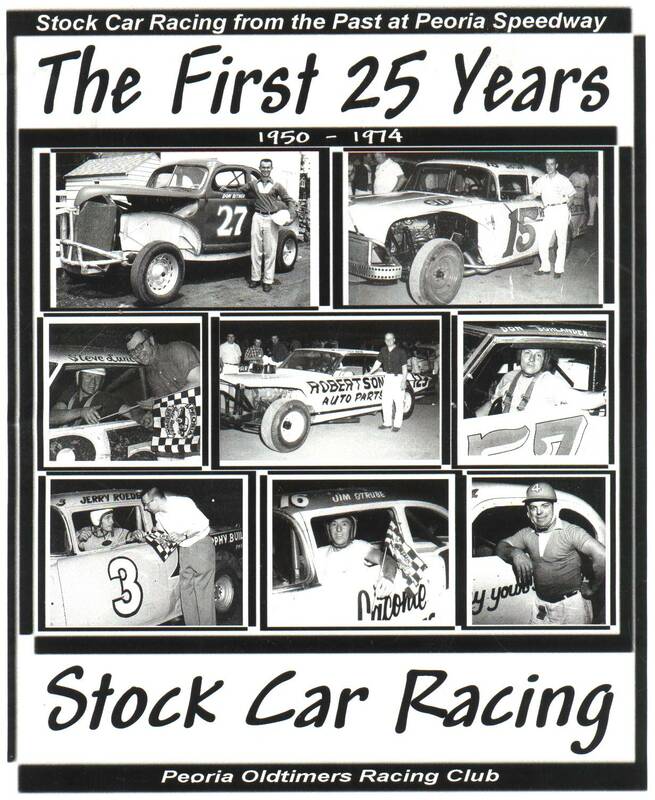 Delmar was well known by stock car racing fans in Central Illinois during the 1970s and 1980s, racing at speedways in Peoria, Fairbury and Farmer City. He was active in quarter-midget racing during the 1990s with four of his grandchildren. He enjoyed going to local racetracks and following NASCAR. He was an avid Dale Earnhardt fan. Richard A. Hoover, 77, of Peoria passed away Sunday February 26, 2012 at his residence. He was born June 7, 1934 in Peoria to John and Emma Fouts Hoover. He was preceded in death by his parents and brother, Tom. He is survived by his sisters, Joann (Jack) Henderson of Streator, Norma Jean Murphy of Port Orange, FL; six nieces and nephews and his extended family, Ray and Michele Neltner of Peoria, Raenel and Bob Wilson of Abington and Randy Neltner of Peoria. Richard worked for Otto-Baum & Sons Co. for 28 years retiring in 1998. He was a member of the Laborers Union 165 for over 40 years. He was also a member of NASCAR, he was an avid dirt racing fan and supporter of Performance Racing No. 75. He loved old westerns and John Wayne movies. Cremation has been accorded and a Celebration of his life will be held Sunday March 4, 2012 from 1 p.m. to 4 p.m. at the Fraternal Order of Eagles, 1704 S. East Lane in Peoria. Memorials may be made to Illinois Cancer Care on Rt. 91 in Peoria. Edwards ? Richard L. Layne, 73, died at 12:57 pm, Tuesday, November 1, 2011 at his residence. He was born on August 31, 1938 in Pekin to William Arnold and Helen Florence (Reeb) Layne. They preceded him in death. He married Beverly Ann Murphy on October 25, 1958. She preceded him in death on June 2, 1993. He later married Kathleen Anderson in December, 1993 and she also preceded him in death in 2003. Surviving are 3 children Dennis (Karla) Layne of Brimfield, Sandra (Orville) Clayton of Edwards, Allen (Karen) Layne of Peoria, 2 step children Melissa Anderson of Tempe, AZ, Cynthia Lindsey of Provo, UT, 1 sister Betty Jean Porter of Longmont CO, 2 grandchildren, 3 step-grandchildren, and 3 step great-grandchildren. Also preceding him in death are 1 infant daughter, Kristal Diane Layne and 1 infant brother William. He retired as the owner and operator of Richard Layne Excavating in Edwards. 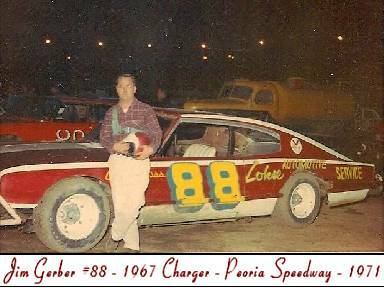 He also was a member of the International Union of Operating Engineers and raced stock cars at the Peoria Speedway for several years. Funeral Services will be held on Sunday, November 6, 2011, at the Oaks-Hines Funeral Home in Elmwood at 3:00 pm with visitation from 1-3. The Rev. Philip Merritt will officiate. Cremation rites will be accorded after the service. Memorials may be made to the Donor?s Choice. Richard Manuell, 76, a resident of California City, passed away at 2:55 p.m., Saturday, August 21, 1999 at home from complications of lung cancer. He was born July 23, 1923 in Farmington, Illinois to Richard and Kathryn Manuell. He married Darlene Kendall in February 1942. He moved to Reseda, CA in 1963 and worked for the Los Angeles Unified School District for 17 years before retiring in 1990. In lieu of flowers the family requests donations to your choice of So. California Baptist Church of North Edwards, P.O. Box 835, North Edwards, CA 93523, or the American Lung Cancer Society. He is survived by his wife, Darlene, and two daughters, Dorothy Miller of Brighton, Iowa and Connie Mehling of Huntington Beach, CA; four grandchildren, Terry, Tracy, Jessica, Sarah and five great-grandchildren. 12:06 a.m. Sunday, June 3, 2007, at OSF Saint Francis Medical Center. Kingston Mines Cemetery in Kingston Mines. Family will receive friends from 5 to 7 p.m. Thursday at the funeral home. Dirk James Davis Jr., care of Herget National Bank in Pekin. To express condolences online, visit: www.preston-hanley.com. of Pekin. He married Angela Grant in Peoria in 1991.
of Midland, Mich.; and one grandfather, Clyde R. Dorothy of Pekin. Peoria. He also worked for Trails Towing as a tow truck driver for many years. 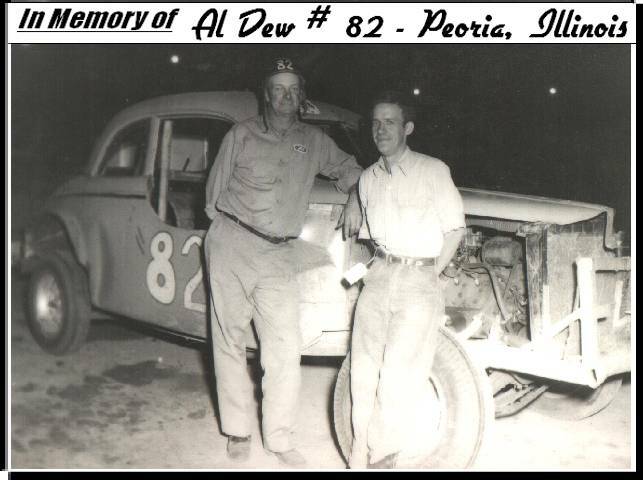 He enjoyed racing and sponsored many race cars at Peoria Speedway. Vance Cramer - ST. DAVID - Vance ''Doc'' Cramer Jr., 80, of St. David died at 12:52 p.m. Thursday, Aug. 2, 2001, in Graham Hospital in Canton. Born Oct. 16, 1920, in Latham to Vance G. Sr. and Alma Moore Cramer, he married Dorothy Irene Gilbert on July 5, 1941, in Decatur. She died Feb. 11, 1959. He also was preceded in death by one brother. Surviving are two daughters, Diana Williams of St. David and Pamela Johnson of Springfield; seven grandchildren. GALESBURG -- Donald P. Lewis, 83, of 1153 N. Henderson St. died at 8:40 a.m. Tuesday, July 4, 1995, at Americana Nursing Home in Peoria. Born Oct. 13, 1911, in Galesburg to Arthur F. and Emma N. Nelson Lewis, he married Lillian E. Linnear on Aug. 30, 1932, in Galesburg. She died in May 1959. He married Betty Kennedy Sandidge on Dec. 27, 1970, in Galesburg. She survives. Also surviving are two sons, Paul A. of Peoria Heights and Robert E. of Peoria; one daughter, Shirley A. Sopher. 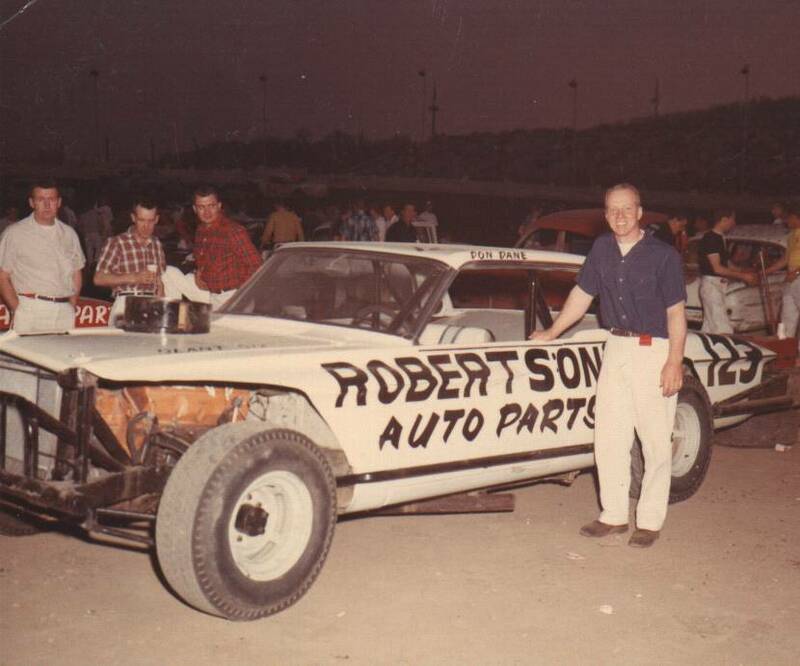 Don was the Promoter of Peoria Speedway from 1965 to 1974. BARTONVILLE - Edward M. Cornish Sr., 69, formerly of Bartonville, passed away at 9:40 p.m. on Tuesday, Feb. 26, 2013, at Sharon Health Care Willows in Peoria. He was born on Sept. 3, 1943, in Peoria, the son of Louis and Wilma Bashusen Cornish. He married Rosalie Lawson and they had two children, Lisa Lawson and Edward M. Cornish Jr.; who had three children. ... He later married Darlene (Strube) Reed on July 5, 1994, and she survives along with her children, Vickie (Paul) Grohsmeyer of Dunlap, Danny (Stacey) Reed of Mossvile and Kandy Moretto of Chicago. Also surviving are six stepgrandchildren and three stepgreat-grandchildren. He owned and operated East Peoria Motors for many years and later worked at Construction Materials for several years, retiring in 2006. The family would like to thank all the wonderful ladies of Sharon Willows Health Care Center for all the loving care they gave Edward. At Ed's request, cremation rites will be accorded with no services scheduled. PEKIN - Eddie L. Bolen Sr., age 56, of Pekin passed away at 4 p.m. Friday, Sept. 10, 2010, at his residence. He was born March 19, 1954, in Peoria to Edwin Dorsey Sr. and Donna Jean (Chase) Bolen. They preceded him in death along with two brothers and one sister. Survivors include three sons, Billy Bolen Sr. of Morton, Michael J. (Bobbie) Bolen of Canton and Eddie L. (Jamie) Bolen Jr. of Pekin; nine grandchildren; three sisters, Bonita (Edward) Bartholomew of Chillicothe, Kathleen K. Brackney of Chillicothe and Yolanda Pickrel of Galva, Mo. ; and five brothers, Theodore Bolen Sr. of Harrisburg, Ark., Terry Bolen of Peoria, Randy (Jeanie) Bolen of Laura, James (Kathy) Bolen of Pekin and Dorsey Bolen of East Peoria. Eddie worked as a heavy equipment operator. He was an avid race car driver and loved to fish. Funeral services will be at 12 noon Thursday, Sept. 16, 2010, at Davison-Fulton Woodland Chapel in Peoria. Visitation will be one hour prior to the services at the funeral home. Burial will be in Swan Lake Memory Gardens in Peoria. 76 Years Old of West Armstrong Avenue, DeLand, Florida died on Saturday, Oct. 20 - 1991. Mr. Schaefer was a retired automotive mechanic. Born in Pontiac, Ill., he moved to Central Florida in 1966. Survivors: son, James Stoecker, Lowell; brother, Clifford, O'Dell, Ill.; sister, Mary Boyd, Pontiac; two grandchildren, four great-grandchildren. Allen-Summerhill Funeral Home, Orange City. East peoria - Floyd F. Strube, 63, of East Peoria died at 7:30 a.m. on Friday, Jan. 25, 2008, at his home. He was born on March 30, 1944, in Peoria, son of Henry J. and Ida (Mitzelfelt) Strube. He married Marilyn J. Sprout on Sept. 1, 1984, in Bartonville. She survives. Also surviving are two daughters, Nischa (Rob) Kelly of Smithfield, Mo., and Ginger (Tom) Greene of Albuquerque, N.M.; one stepdaughter, Lisa (Steven) Wagstaff of East Peoria; six grandchildren, Victoria, Taylor, Dallas, Charles, Kalyn and Christopher; one sister, Darlene (Ed) Cornish of Peoria; and two brothers, Fred (Cindy) Strube and Chuck Strube, both of St. Cloud, Fla. He was preceded in death by his parents and four brothers, Hank, John, Jim and Howard. Floyd worked at Strube & Sons Auto Rebuilders and also at various Chevrolet Dealerships in the Peoria Area. In 2006, after 30 years, he retired from United Ready Mix in Peoria, where he drove a mixer. He was a member of Seventh Day Adventist Church in Peoria and Teamsters Local No. 627. Floyd was an avid Dale Earnhardt fan and he enjoyed watching the Chicago Cubs and Chicago Bears. Funeral services will be held at 11:30 a.m. on Tuesday, Jan. 29, 2008, at Davison-Fulton Bartonville Chapel in Bartonville, where visitation will begin at 10 a.m. Burial will be in Smithville Cemetery in Smithville. PEKIN - Francis Eugene "Frank" Schuck, 67, of Pekin passed away at 3:25 p.m. Friday, Nov. 18, 2011, at his home with his family and loved ones at his bedside. Born Jan. 6, 1944, in Peoria to Henry and Eleanor (Robinson) Schuck, he married Rita Eddy on Sept. 5, 1979, in Peoria. Surviving are his wife; one son, Jonathon (Erica) Schuck of Pekin; two daughters, Shawna (Mike) Lehney of Arkansas and Jenifer (Eric) Wisher of Pekin; nine grandchildren, including Ryan Schuck, whom Frank helped raise; three great-grandchildren; one brother, Leo Schuck of Creve Coeur; and two sisters, Anna Norton of Lake Camelot and Marla Jordan of Pekin. He was preceded in death by his parents; one son, Frank Schuck Jr; one daughter, Carrie Schuck; and two brothers. Frank worked for Caterpillar Inc. for 25 years, retiring as a core dipper in 1989. He served in the U.S. Army and the Army National Guard in the 1960s, and was a life member of AMVETS Post No. 169 in North Pekin. An avid NASCAR and Jeff Gordon fan, he and several members of his family enjoyed participating in dirt track racing. He especially loved watching his son and daughter race. A Chicago Cubs fan, he also enjoyed deer hunting and loved his dogs, Puppy, Wendy and Bristol. He was a member of First Christian Church in Pekin. Frank's funeral will be at 10:30 a.m. Wednesday at Preston-Hanley Funeral Homes and Crematory in Pekin. The Rev. Michael Roberts will officiate. Visitation will be from 5 to 7 p.m. Tuesday at the funeral home. Burial will be in Parkview Cemetery in Peoria. Memorial contributions may be made to Harbor Light Hospice, 2000 W. Pioneer Parkway, Peoria, IL 61615. Francis I. "Wild Man" Kelly, 87, of 1307 Meadowlark Lane, Macomb, passed away at 11:08 p.m. Sunday, December 30, 2012 at McDonough District Hospital in Macomb. He was born on May 11, 1925 in Littleton, Illinois to Elmer and Dorothy Gunning Kelly. He married Donna Marlow on January 15, 1947 in Macomb. She survives. Also surviving are two sons; Scott (Stephanie) Kelly of Macomb and Mark Kelly of Macomb; one daughter, Paula (Earl) Pepmeyer of Macomb; four grandchildren; three great-grandchildren; sister-in-law and her husband, Barb (Jack) Silberer of Macomb; several nieces and nephews and several great-nieces and nephews. He was preceded in death by his parents and one sister, Betty Payne. He lived in Industry before moving to Macomb where he worked at King-Sealy Thermos for 32 years. He was an Army veteran serving from 1943 to 1945. He was a member of the Macomb American Legion and Macomb VFW. 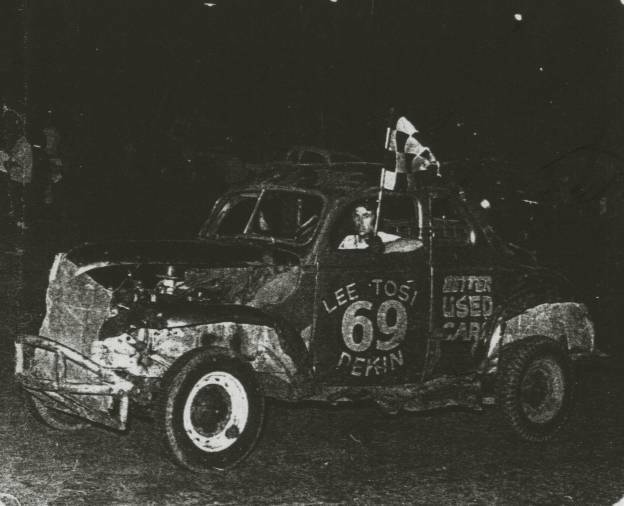 Wild Man was a well known area stock car driver, racing for 43 years. A Celebration of His Life will be held on Saturday, January 12, 2013 from 11 a.m. to 1 p.m. at the Macomb American Legion with Military honors being conducted by the Macomb American Legion and the Macomb VFW at 1 p.m. Cremation rites have been accorded. Private burial of ashes will be held at Oakwood Cemetery. The family requests in lieu of flowers that memorials be made in his memory in care of First State Bank of West Central Illinois in Macomb. Frank, was the son of John Wesley Dixon Jr. and Lulu Vernice Wood. He married Ester Moore in 1918, they had two children, Geraldine and Doris Dixon. 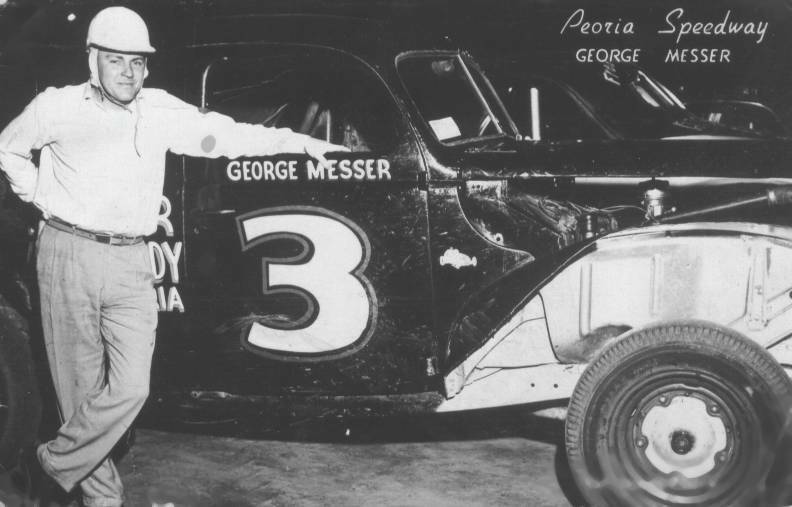 His working life was spent in the ownership and operation of the Peoria Speedway in Peoria, Illinois. Frank G. Gottman, 72, of 4100 Edgewater Dr., Pekin, died at 10:20 a.m., Thursday, July 13, 2000 at O.S.F. St. Francis Medical Center in Peoria. Born April 24, 1928 in Altamont, IL, he was a son of August Fred and Edna Mae Thompson Gottman. He married Lily Marie Perry on June 1, 1948 in St. Elmo, IL. Surviving are his wife; 2 sons, Robert Eugene (Nancy) Gottman of Creve Coeur and Larry Alan (Christine) Gottman of Pekin; 2 daughters, Shirley (Rev. Gary) England of East Peoria and Bonnie Shirley of North Pekin; 8 grandchildren, Tiffany (Robert) Clark , Christine (Sean) Perkins, Tim Gottman and Matthew Gottman, all of Pekin, Tonya England of East Peoria, Daniel (Anita) England of Washington, Josh Sloan of Creve Coeur, and Jesse Shirley of North Pekin; 3 great-granddaughters; and 1 sister, Elsie (William) Sarver of Herrick, IL. He was preceded in death by 1 daughter (Angela Beth Gottman on November 24, 1970 in Pekin), 1 grandson (Gordon Shirley), 1 brother, and 1 sister. Mr. Gottman was a carman/welder for the Toledo, Peoria, and Western Railroad for 32 years retiring in 1984. 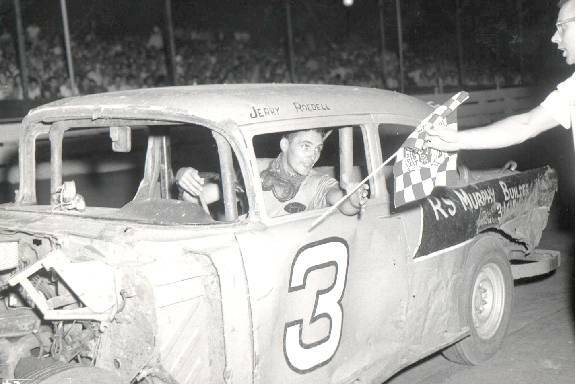 He had been a stock car race driver and was inducted into the Peoria Speedway Hall of Fame in 1999. He was a member of Richland Southern Baptist Church in East Peoria and a former member of the International Association of Carmen. He was an avid auction goer. Funeral services were held at 10 a.m. Monday, July 17, 2000 at Preston-Hanley Funeral Home, Pekin chapel. His son-in-law, Pastor Gary R. England officiated. Burial was in Lakeview Cemetery in Pekin. Visitation was held from 4 to 6 p.m., Sunday at the funeral home. Scott, Thank you for the kind mention of my father, Freddie Voight, on your site. He was born in Peoria, the only child of Henry and Violet (Crafton) Voight, on April 23,1927 and died August 4,1973. He was father to the four of us and (at that time) grandfather to five. NORTH PEKIN - Opal Voight Leamon, 73, of 12 Glen Lane died at 2:50 p.m. Sunday, March 4, 2001, at OSF Saint Francis Medical Center in Peoria. Born Oct. 20, 1927, in Kilbourne to Everett and Frances Tackman Whitley, she married Frederick Hamilton Voight on June 9, 1946, in Peoria. He died Aug. 4, 1973. She later married Richard Leamon in September 1978 in Las Vegas. He died March 31, 1999. PEORIA - Gary Poston, 53, of Peoria died at 6:18 p.m. Wednesday, Dec. 12, 2001, at his residence. He was born Aug. 15, 1948, in Peoria to Homer and Shirley Neal Poston. Surviving are his parents of Peoria; his former wife, Vicki Nichols Poston of Bartonville; two sons, Sean and Kyle (and Jennifer), both of Peoria; one stepdaughter, Megan Burwell of Peoria; one brother, Kenneth (and Sue) of Brimfield; three sisters, Kim (and Harold) Sherrard and Sue (and Dennis) Price, both of Peoria. WASHINGTON - A. Gene Miller, 81, of Washington, Ill., passed away at 8:45 p.m. Tuesday, Feb. 26, 2013, at Washington Christian Village. He was born July 30, 1931, in East Peoria to Pearl Francis and Alta Pearl (Kidd) Miller. He married Delores Suttle on July 5, 1957, in Peoria. She survives. Also surviving are his children, Rich (Pat Lykin) Miller of Washington, Diane K. Gore of Washington and Ron (Tammi) Miller of East Peoria; one brother, William (Vivian) Miller of East Peoria; one sister, Violet Whitehead of Washington; six grandchildren; and eight great-grandchildren. He was preceded in death by one son, Robin Lee Miller, four sisters and two brothers. Gene was an Army Airborne veteran serving in the 82nd Airborne from 1952 to 1954. ... He worked at Caterpillar for 42 years in machine repair, retiring in March 1992. 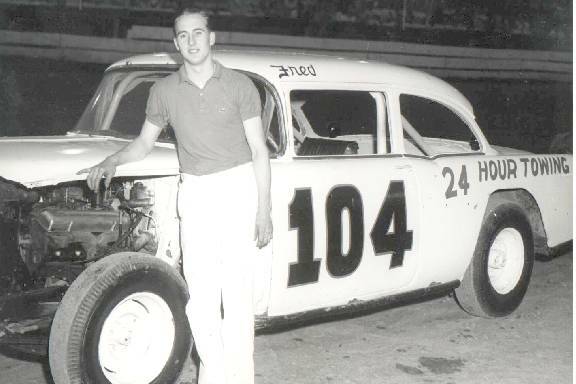 Gene was a member of the ABC Bowling Congress since 1955; he won his weight class in Golden Gloves at the age of 16; raced stock cars in Peoria for five years and was an avid NASCAR fan. He was a member of Jesus Christ of Latter-day Saints in Morton, Ill., and worked in the temple in Chicago and Nauvoo, Ill. Most important to Gene was family. He enjoyed spending time with family, especially his grandchildren and great-grandchildren. 1st. Auto Racing Announcing Job was at DeKalb, Illinois Fairgrounds 1/2 Mile in 1949. Worked as P.A. Announcer at Peoria (Mt.Hawley) Speedway from 1950 to 1958. Worked at Most Major Speedways in Illinois Through-Out Career. Prefers Eating Dust as to Watching Asplalt Racing. Regards AAA's Greatest Champion Bob Sweikert as the Drivinest Darn Fool He Ever Saw. 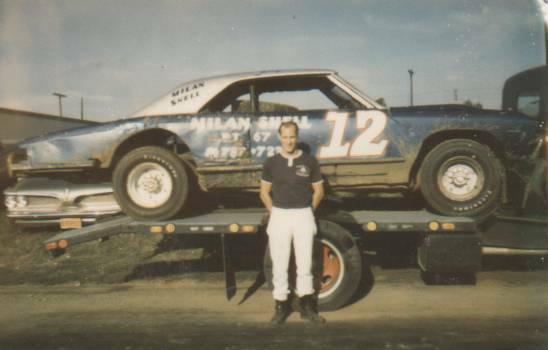 Glen Bradley - D - #16 - Lincoln Illinois - Drove Coupe Stock Cars at Mt. 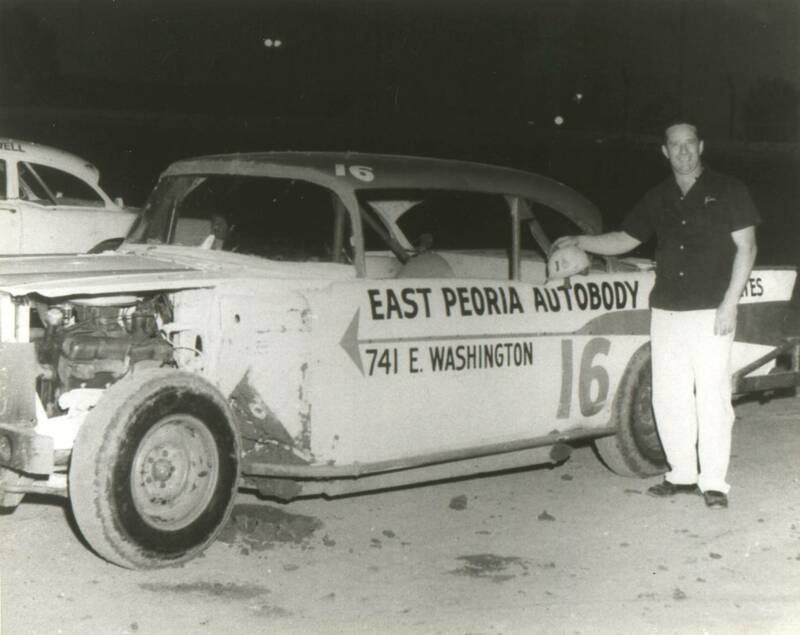 Hawley Speedway in Peoria 1950 to 1957 - U.S.A.C. Stock Car Division Driver in the 50's to 70's. William Glendon ?Glen? Bradley, 80, of Lincoln, IL died at 8:35 p.m. May 15, 2009, at Memorial Medical Center, Springfield, IL. Mr. Bradley was the retired owner and operator of Bradley Auto Body and a retired stationary engineer for the state of Illinois. He was a past member of the Logan County Board. He was affiliated with the Lincoln Church of Christ and was a member of American Legion Post 263, Lincoln Elks Lodge 914 and the Independent Order of Odd Fellows. He was a charter member of the United States Auto Club. A veteran of the Army National Guard, he served during the Korean War. He was born March 8, 1929, in Butler County, Kentucky, to Reggie and Attie Romans Bradley. He married Lela Theobald on March 10, 1951, in Lincoln, IL. Survivors include his wife of Lincoln; 2 sons, Gregory (Julia) Bradley of Lincoln, IL and Warren (Deanna) Bradley of Broadwell, IL; 1 daughter, Glena (Charles) Peterson of Broadwell, IL; 2 sisters, Jean Royal of Hammond, IN and Ethel Mae Snodgrass of Paducah, KY; 7 grandchildren; and 6 great-grandchildren. His parents and 3 brothers preceded him in death. Mr. Bradley?s graveside service will be at 3:00 p.m. today at Walnut Hill Cemetery, Williamsville, IL, with full military rites being accorded by American Legion Post 263. EL PASO - Harold L. Render, 75, of Peoria, formerly of El Paso, a former oil company salesman and past national commander of the 80th Division Veterans Association, died at 4:10 a.m. (June 29, 1990) at Galena Park Nursing Home, Peoria. His funeral will be at 9:30 a.m. Monday at Wilton Mortuary, Peoria, and 10 a.m. at St. Bernard's Church, Peoria. Burial will be in St. Mary's Cemetery, El Paso. WEST PEORIA -- Harry "Brownie" Brown, 81, of West Peoria died at 10:55 a.m. Saturday, Aug. 29, 1998, at OSF Saint Francis Medical Center in Peoria. Born Dec. 14, 1916, in Pocahontas, Ark., to Jess and Maud White Brown, he married Margaret Edwards on Feb. 17, 1946, in Peoria. She survives. Also surviving are one son, David Edwards of Mapleton; three daughters, Diana Johnson of Roanoke, Nola Brown Jackson of Benson and Janet Green of Peoria. PEORIA - Herb Shannon Sr., 81, of Peoria passed away at 6:16 p.m. Saturday, Sept. 8, 2012, at OSF Saint Francis Medical Center in Peoria. He was born Sept. 1, 1931, in Hopedale, Ill., to William E. Wood and Mildred Frances Shannon. He married Donna K. Scharp in Peoria on March 28, 1992. She survives. Also surviving are six children, Herb Jr. (Cyndi) Shannon, Dan (Sharon) Shannon, Jennifer Shannon, John Shannon, Mike (Kirsten) Largent and Todd (Ava) Largent; 18 grandchildren; 15 great-grandchildren; two brothers, Ron (Jean) and Jerry; and one sister, Sherry (Dave) Urbanc. He was preceded in death by his parents, three brothers and eight sisters. He worked as a painter for the city of Peoria before retiring. 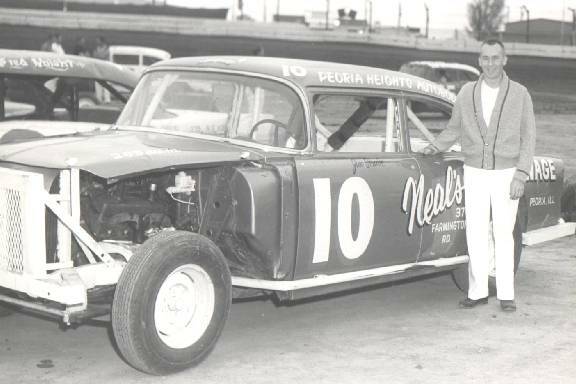 Herb was a racing legend, racing from 1947 to 2011. He was the first racing inductee into the Greater Peoria Sports Hall of Fame. 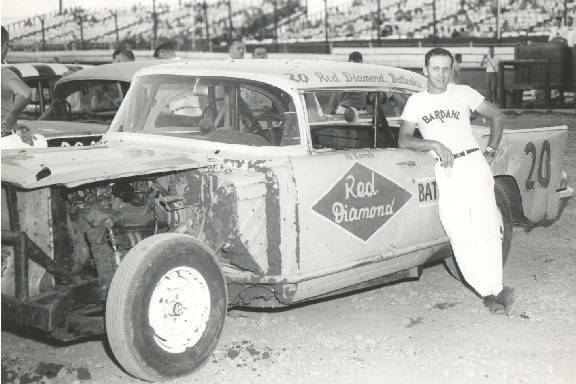 He was the pioneer of Herb Shannon Racing, which has included over 14 family members that have all won races at the Peoria Speedway. 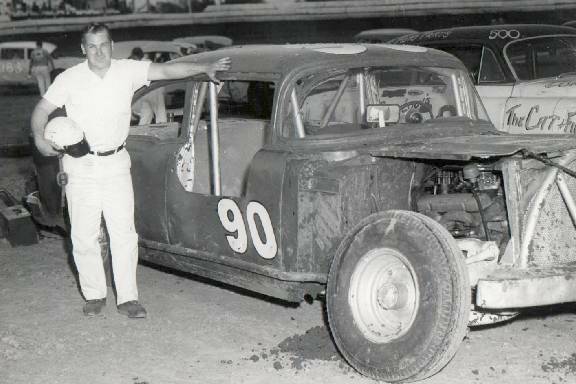 He was a member of Illinois Vintage Racing and the Illinois Stock Car Hall of Fame. Herb was involved in leadership and support roles with MDA and Easter Seals. He was a member of the Church of Jesus Christ of Latter-day Saints (Pekin Ward). Visitation will be from 5 to 8 p.m. Wednesday, Sept. 12, 2012, at Davison-Fulton Woodland Chapel in Peoria. Funeral services will be at 10 a.m. Thursday at the chapel. Burial will be in Swan Lake Memory Gardens in Peoria. Memorial donations may be made in Herb's honor to the Cornelia de Lange Syndrome Foundation at 302 W. Main St., No. 100, Avon, CT 06001. EAST PEORIA?Hugh L. Griffin, 87, of East Peoria died at 6:46 PM on Wednesday, March 25, 2009 at Methodist Medical Center in Peoria. Born on Sept 19, 1921 in Decaturville, TN to Jesse and Fannie Tillman Griffin, he married Melissa M. Cordle on December 25, 1941 in Corinth, MS. She preceded him in death on January 9, 2002 in Peoria. Surviving are 3 children, Tony (Mary) Griffin, Travis (Kathy) Griffin, and Teresa (Dan) Earle, all of East Peoria; 7 grandchildren, Jesse (Buffie) Griffin, Ryan (Erica) Griffin, Nathan, Josetta and Samuel Griffin, and Melissa and Andrew Earle; 3 great grandchildren, Blake, Kelsie, and Chase Griffin; and 1 sister, Melba Higdon of Decaturville, TN. He was preceded in death by his parents and 1 sister, Maurine Kindle. Hugh worked for Caterpillar, Inc. as a mechanic at the Proving Grounds for 34 years, and also worked as a carpenter for 50 years. He was a member of First United Methodist Church in East Peoria, the Local UAW #974, Carpenter?s Local #183 and NASCAR. A funeral service will be held at 1 PM on Saturday, March 28 at Deiters Funeral Home & Crematory in East Peoria. The Rev. Mary Arnold will officiate. Visitation will be held from 6-8 PM on Friday, March 27 at the funeral home. Burial will be at Roberts Cemetery in Morton, where military rites will be accorded. Cemetery: Roberts Cemetery-300 W. Jefferson-Morton, IL. GOUJON -- Malcolm (Jack), 67, of Albuquerque, passed away Saturday February 2, 2008 at his home, after many years battling heart disease. He was born on April 12, 1940 in Peoria, IL to Leo and Muriel Goujon. He married Martha E. Spradling on March 10, 1967. He is survived by his wife, Martie; children Jack Goujon and wife, Nancy; Jeff Goujon and wife, Terri; Ginger Green and husband, Tom; and Jill Davis and husband, Craig. Grandchildren are Claire, Jett, Jess, Anna, Dallas, Dylan, and Ashley. His sisters, Mary George and husband, Fred; and Leona Sleister and husband, Gary. Many more nieces, nephews, grandnieces and nephews. He was preceded in death by his parents and a brother Vance. He was a member of Teamsters Union Local 627 in Illinois and Local 492 in Albuquerque. He was a retired Roadway driver and was an avid golfer. Cremation has taken place and a Celebration of Life will be held Thursday, February 7, 2008, at 1:00 p.m., at Riverside Church of Christ, 3100 La Orilla Rd. NW. Reverend Mark Mc Kenzie will be officiating. In lieu of flowers, donations can be made to family. Funeral service at 11:00 am on Monday, January 13, 2014 at Lenz Memorial Home in Lacon. Visitation on Sunday from 2-4 pm at the funeral home and one hour prior to the service on Monday. Jackie Lee "Jack" Rebholz, 78 of Lacon died at 12:07 AM on January 7 2014 at his residence surrounded by his family. Jack was born on June 8 , 1935 in Lacon, Illinois to the late John and Helen Stanley Rebholz. He met the love of his life Lillian Tuttle; they married on August 22, 1954 and raised their family in Henry, Illinois. She passed on Feb 20, 2008. He served in the U.S. Navy during the Korean conflict, aboard the USS Mindoro carrier ship stationed in Norfolk, Va. He owned and operated Phillips 66 service station in Henry and delivered heating fuel. Jack also served as a Marshall County deputy sheriff during the late 50's, 60's and 70's under three different sheriffs. He and his family returned to Lacon in 1973 and ran the Texaco Service Station there until 1982. During that time he also worked in the trucking sales business until retiring in 2010 from Sterling Trucking in East Peoria. Jack was elected North Ward Aldermen in 1999 till the present time. He served on several committees during his 15 years completing many projects; Lacon Cemetery restoration of grave stones, sidewalk replacement , Weber Park and memorial benches, lighting, pavilions and trees in City parks. He had great pride in his hometown community. He was also a member of American Legion Post 593. Jack always had a passion for speed, racing boats in the 1950's and early 60's. 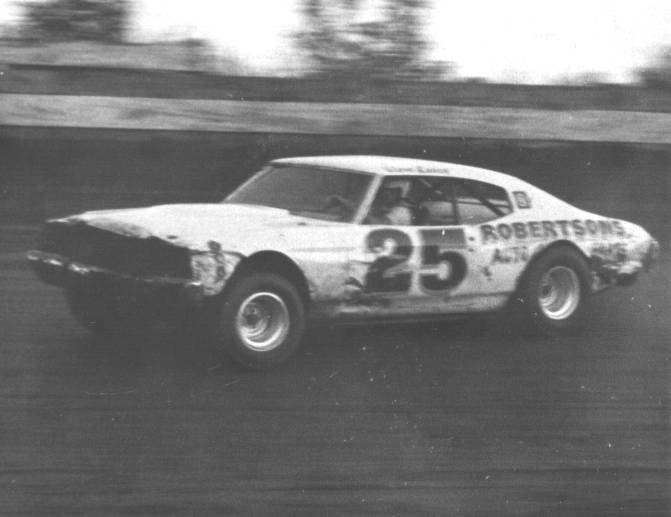 Then his passion turned toward Stock Car Racing in the late 60's until 1982. He raced in Peoria, Sterling, Freeport, Davenport, Springfield and tracks in Wisconsin. 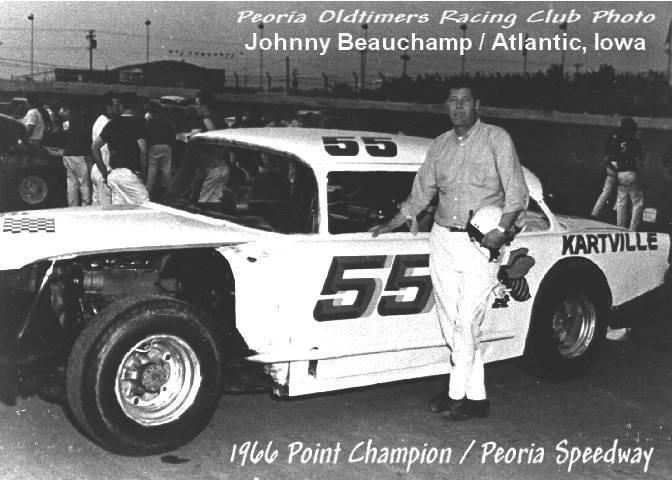 He was a member of the Peoria Oldtimers Racing Club and Inducted in 1998 into the Peoria Oldtimers Hall of Fame. He was an inspiration to many race car drivers and the racing community. Jack's other passions were traveling around the US every summer with his family. Later in life he and Lillian enjoyed traveling and spending time in Florida. Jack was always looking out for everyone he came in touch with and tried his best to help where he could. Jack was a great family man that always stood by his children to show them the way. He was a loving husband, father, grandfather, and friend to so many. He will be greatly missed. He is survived by his sons Jackie Lee, Jr (Sherry) of Lacon and Duane of Princeton, daughters Lydia (David) Newhalfen of Henry and Connie (Mike) Anderle of Lacon. He is also survived by his grandchildren Jennifer Anderle, Roselyn Rebholz, and Danielle and Marshall Newhalfen. He was preceded by three sisters, Jo Ann Kirkbride, Helen Jane and Karen Lou, and one grandson. "He was a man that wasn't afraid to tell it like it was." EAST PEORIA - John E. Seckler, 76, of rural East Peoria passed away at 2:08 a.m. Saturday, Oct. 6, 2012, at Kindred Hospital in Peoria. Born Aug. 25, 1936, in Metamora to Everett and Mildred (Donohue) Seckler, he married Ida Jean Missey on July 6, 1958. He later married Eugenia Jones. Surviving are two sons, Donald Seckler of East Peoria and Thomas (Deborah) Seckler of Phnom Penh, Cambodia; two daughters, Christine (Dave) Asher of Mehlville, Mo., and Sharon (Terry) Rosen of Peoria; six stepchildren, Mark (Joan) Dorsey, Robert (Chris) Hubbard, Stacey Seckler, Tonya (Miguel) Martinez, Peggy Perez and Tina Matthews; five grandchildren, Dawn Schroeder, April Seckler, Matthew Richmond, Jessica Seckler and Sarah Seckler; several great-grandchildren; five brothers, Arnold Seckler, Steve (Betty) Seckler, Dennis (Suzie) Seckler, Bruce (Nancy) Seckler and Norman (Sharon) Seckler; and five sisters, Edna Marchand, Candace (Jack) Miller, Mary Shawback, Theresa Seckler and Jean (Dave) Stivers. He was preceded in death by his parents; one infant sister, Lois Seckler; one grandson, Mikey Richmond; and Eugenia Seckler, with whom he made his home for many years. John served in the United States Air Force and then became a diesel mechanic for 35 years, retiring in 1998. An avid NASCAR fan, John enjoyed riding and restoring classic motorcycles. His memorial service will be at 11:30 a.m. Thursday, Oct. 11, 2012, at Creve Coeur Christian Church, 101 South Thorncrest Ave., Creve Coeur. The Rev. John Plunkett will officiate. Visitation will be from 10 to 11:30 a.m. Thursday at the church. Burial will be at a later date in St. Mary's Lourdes Cemetery in rural Metamora. Memorial contributions may be made to Kindred Hospital, 500 W. Romeo B. Garrett Ave., Peoria, IL 61605. Arrangements have been entrusted to Preston-Hanley Funeral Homes & Crematory in Creve Coeur. PEKIN, Ill. ? James Franklin Womeldorff, 58, of Pekin, passed away at 10:30 p.m. Monday, Nov. 22, 2010, at OSF Saint Francis Medical Center in Peoria. He was born Nov. 22, 1952, in Arkansas to Lewis and Wanda M. Calhoun Womeldorff. His parents preceded him in death. His brother and one son also preceded him in death. Surviving are his stepmother, Bessie Womeldorff of Mason City; two daughters, Karmin (Donald) Grant and Andrea (David) Kellum, both of Pekin; two sons, Kyle (Shani) Womeldorff and James C. Womeldorff, both or Pekin; three stepdaughters, Tasha Estes and Candice Spoede, both of Pekin, and Keshia Estes of Peoria; and six grandchildren. James worked as the head of maintenance for the UAW Highrise in Pekin for 22 years. He enjoyed riding his motorcycle. He was of the Baptist faith. His funeral will be at 2 p.m. Monday, Nov. 29, at Preston-Hanley Funeral Homes & Crematory in Pekin. Dale Schaeffer, pastor, will officiate. Burial will be in Fon du Lac Cemetery in East Peoria. Visitation will be one hour prior to the funeral. In lieu of flowers, memorial contributions may be made to the family to help with expenses. Gerald W. "Jerry" Blundy, 86, of Silvis, formerly of Oak Run, Galesburg, and Brimfield, died on Monday, July 14, 2014, at Lighthouse Assisted Living in Silvis. He was born Jan. 7, 1928, in Brimfield, the son of Clifford and Gwendolyn Whittaker Blundy. He married Margaret G. Admire on Oct. 29, 1955, in Shreveport, Louisiana. She preceded him in death on April 22, 2004. Surviving is his son, Clifford (Terry) Blundy of East Moline; one grandchil...d; and three great-grandchildren. He was preceded in death by his wife, parents, and two brothers. He was reared and educated in Brimfield and attended Brimfield High School. Jerry was in the Air National Guard for seven years during the Korean Conflict. Jerry first worked at Caterpillar for seven years as a forklift operator and then for 30 years as a mold maker at Admiral Corporation. He was a member of the United Methodist Church in Dahinda and the Brimfield American Legion Post 452. 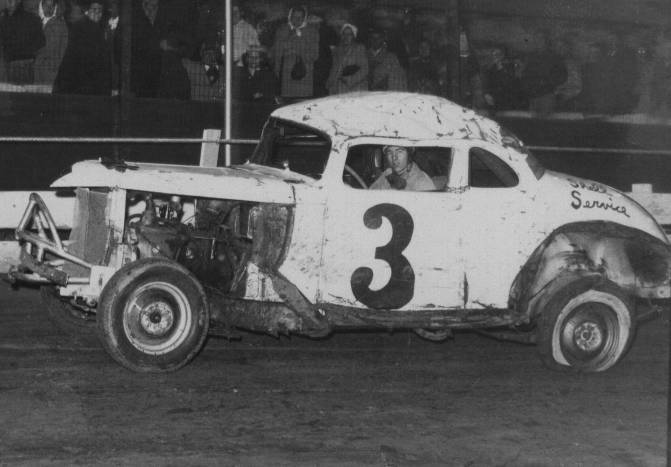 Jerry raced cars for over 30 years and was a two-time national sprint car champion. 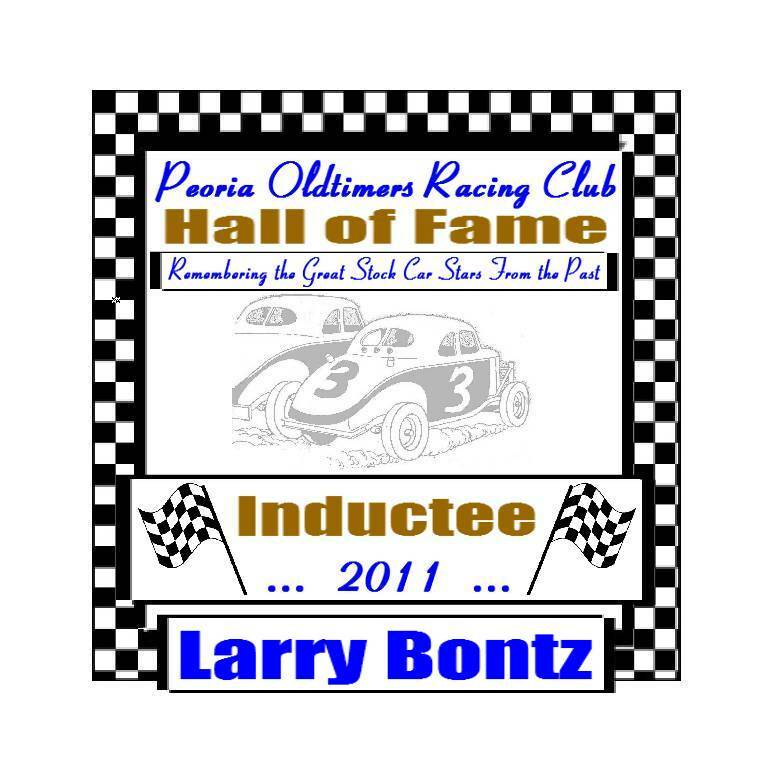 He was inducted into the National Sprint Car Hall of Fame. Graveside service will be at 1 p.m. Thursday, July 17, 2014, at Brimfield Cemetery. The Rev. David Shreeves will officiate. Military honors will be conducted by Brimfield American Legion Post 452. Memorials may be given to the United Methodist Church in Dahinda. Hurd-Hendricks Funeral Home in Knoxville is in charge of arrangements. GERALD (Jerry) ROEDELL WEST PEORIA -- Gerald H. Roedell, 65, of 2227 W. Herold died at 10:08 a.m. Sunday, April 23, 1995, at Saint Francis Medical Center in Peoria. Born Dec. 29, 1929, in Peoria to Cleo and Rosetta McGrew Roedell, he married Pat Murphy on Oct. 22, 1951, in Pocahontas, Ark. She survives. Also surviving are two daughters, Gerry Smick of Chillicothe and Roxy Wolland of Peoria; one son, Dana of Edwards; one sister, Betty Stimeling of Peoria; four grandchildren; and six step-grandchildren. PEORIA - Patricia Roedell, 80, of West Herold Street in West Peoria passed away on Friday, Feb. 26, 2010, at her residence. She was born on Nov. 21, 1929, to Richard and Stella Gerritson Murphy. She married Gerald H. Roedell in Pocahontas, Ark., on Oct. 22, 1951. He preceded her in death on April 23, 1995, in Peoria. She also was preceded by her parents, one brother and two sisters. Patricia is survived by one son, Dana (Laura) Roedell of Edwards; two daughters, Gerry (Steve) Smick of Peoria and Roxy (Jerry) Wolland of Edwards; four grandchildren; six stepgrandchildren; one great-grandson; and one great-grandchild yet to be born; four brothers, William (Alberta) Murphy and Lawrence (Peggy) Murphy, both of Peoria, John (Doris) Murphy of Edwards and James (Rosemary) Murphy of Hanna City; and three sisters, June Hoffman and Doris (Jack) Hawksworth, both of Peoria and Gloria (Roy) Keith of Trivoli. Patricia last worked as a clerk for 12 years for Gateway Trucking in Peoria. Prior to that, she had worked for Tobler Trucking. She also had been the secretary/treasurer of the Stevers Water Company in West Peoria. She had been a member and former board member of Teamsters Retirees. Patricia volunteered for many Susan G. Koman Foundation Events and programs and always lent a helping hand to others in need. Funeral services will be held at 11 a.m. on Thursday, March 4, 2010, at St. Mark's Catholic Church in Peoria. Visitation will be from 5 to 7:30 p.m. on Wednesday, March 3, 2010, at Woolsey-Wilton Funeral Home in Peoria, plus one hour prior to services at the church. Burial will be in Lutheran Cemetery. Gerald J. ``Jerry'' Reinhart, 73, of Cape Coral, Fla., formerly of Moline, died Saturday, April 17, 2004, at Hope Hospice House, Cape Coral. Services will be 9:30 a.m. Monday at DeRoo Funeral Home, Moline, and 10 a.m. at Sacred Heart Catholic Church, Moline. Burial will be in St. Mary's Cemetery, East Moline. Visitation will be 2 to 5 p.m. Sunday at the funeral home. Memorials may be made to the American Heart Association. 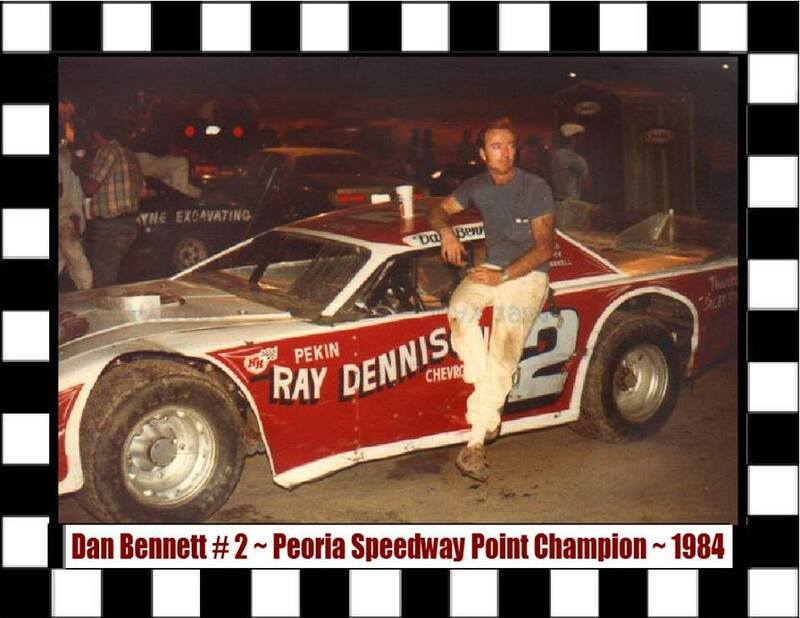 Mr. Reinhart was born Jan. 27, 1931, in Quincy, Ill., the son of Ralph and Helen Reinhart. He married Charlotte A. Blair Dec. 6, 1952, in Rock Island. She preceded him in death in 1980. He later married Juanita W. Williams Pearson Sept. 18, 1982, in Moline. Gerald was employed at the former B.N. Transport for 33 years and T.N.T. Holland, Rock Island for 10 years, as a truck driver, retiring in 1994. While at B.N. Transport, he received an award for a million miles of safe driving. He enjoyed camping, fishing and stock car racing. He was a stock car driver for 27 years, and drove car No. 27. Gerald was a member of Sacred Heart Catholic Church, East End Club and the Viking club, all of Moline, and Local 371. Survivors include his wife; stepdaughters and spouses, Marilyn and Jeff Ostrand, Bettendorf, Shelly and Dean Cambridge, Eagan, Minn., and Jeannie and Doug Bohnert, East Moline; sisters, Margie Sifuentes, Salinas, Calif., and Ruth Alderton, Quincy, Ill.; sister and brother-in-law, Sandy and Ty Snyder, Quincy; and brother and sister-in-law, Ron and Barbara Reinhart, Quincy. Gerald was preceded in death by a son, Gary, in 1990, and a brother, Kenneth. PEORIA - Jesse James Clendenin, age 83 years, of Hillsboro, Wis., the father of several Peoria area residents, passed away on Friday, Oct. 21, 2011, at University Hospital in Madison, Wis. He was born on April 4, 1928, to Charles and Laura (Davis) Clendenin in Marion, Ill. Jesse worked at Caterpillar Tractor Co. for 32 years, retiring in 1982. He was an avid hunter and fisherman and will be missed by all family and friends. Surviving is his faithful companion, Harriet Fortun of Hillsboro, Wis., with whom he made his home; three sons, Michael (Kay) of Kankakee, Ill., Curtis (Fifi) of North Pekin, Ill., and Walter (Tina) of Washington, Ill.; one daughter, Debra Scott (Rick) of Mapleton, Ill.; 10 grandchildren; seven great-grandchildren; two sisters, Mary Mowery and Bess Solchenberger, both of Wonewoc, Wis.; and several nieces and nephews. He was preceded in death by his parents, one great-granddaughter, a son-in-law and two sisters.Funeral services were held at 7:30 p.m. Tuesday, Oct. 25, 2011, at the Picha Funeral Home in Hillsboro, Wis., with the Rev. Donald Ehler officiating. Interment will be at 2 p.m. Monday, Nov. 14, 2011, for family and friends in Fondulac Cemetery in East Peoria, Ill. Remmert Funeral Home in East Peoria is in charge of arrangements. BELLEVUE - James Leroy Kimball, 65, of Bellevue died at 6:20 p.m. Wednesday, Dec. 24, 2003, at his home. Born Nov. 15, 1938, in Peoria to William Hazen and Edith Brooks Kimball, he married Dorothy "Dottie" Wagner in 1987. She died in May 1998 in Pahrump, Nev. He later married Coleen Sibley on July 21, 2000, in Peoria. She survives. Also surviving are two daughters, Terri (and Michael) Stanton of Joliet and Vickie (and Matt) Osborn of San Diego; one son, Jimmy. 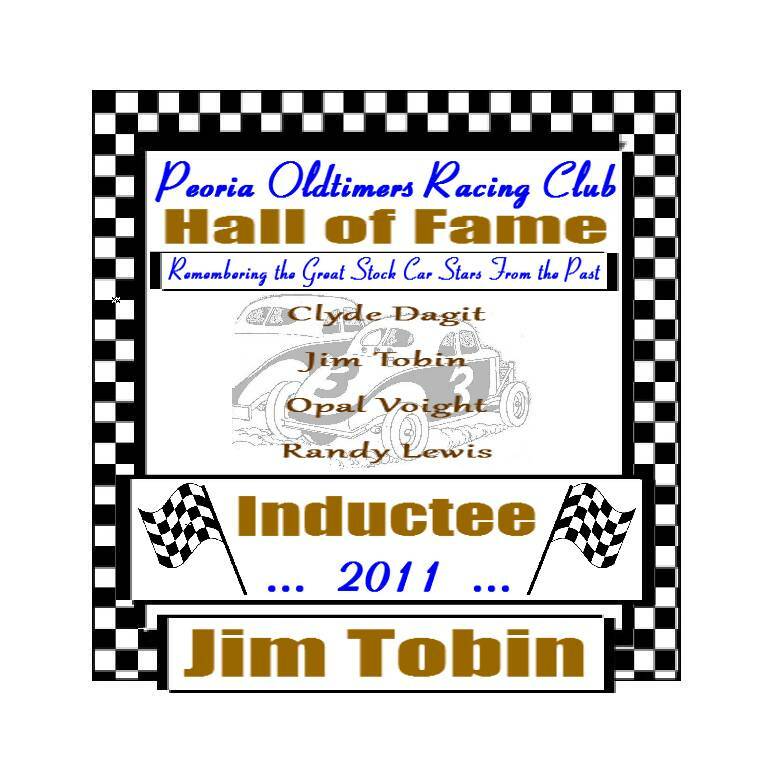 I just Got Some Very Sad News that Former Stock Car Driver "Jim Tobin" of Normal Illinois Passed Away Last Night (January 28-2012) while Vacationing in Florida. Jim's Oldest Son Kelly, just sent me a Message of his Passing. Kelly and his Brother Brian and Sister Teresa will be soon heading to Florida to be with their Mom, MaryBeth (Jim's Wife). Will let all know of his Funeral Arrangements when... I hear from the Family. I Feel so Awfully Sad to hear this as I have been a Friend of Jim's for 42 Years. Jim Helped Me Immensely to get Started in Stock Car Racing back in the 70's. Visitations ~ 9 to 11 a.m. with Memorial Service at 11 a.m.
NORMAL ? James Lee Tobin, 69, formerly of Normal, passed away Saturday (Jan. 28, 2012) in Aventura, Fla.
A celebration of life ceremony will be from 9 to 11 a.m. Friday at Calvary Baptist Church, Normal. A service will follow. Memorials may be sent to Sunshine Acres Orphanage, Mesa, Ariz.
Born in Chicago on March 30, 1942, a son of Elizabeth McMurray and Bernard Tobin, he married Mary Beth Weakley on July 8, 1961. She survives. Also surviving are his mother, Elizabeth Kessinger, Normal; his sister, Ellen (Randy) Paul, Bloomington; his children and their families, Kelly (Dawn) Tobin, Normal; Teresa (John) Blakeney, Carlock; and Brian (Tracy) Tobin, Lexington. Grandchildren include Aesop Adams; Kyle, Kerrigan and Zinnia Tobin; Tyler and Cooper Blakeney; and Eli, Grace, Gabe and Ellana Tobin. Also surviving are many uncles, aunts, nieces and nephews. He was preceded in death by Bernard Tobin and Bill Kessinger. He attended Trinity High School, Normal High School and graduated from Bloomington High School in 1960. He worked various jobs including construction, factory work for Admiral, and delivering pizzas for Ronny?s Pizza which Jim purchased in 1963, only to create the famous Tobin?s Pizza. He owned and operated Tobin?s Pizza for 34 years. Besides the great tasting pizza, his loyal customers loved his sense of humor, practical jokes and carpeted walls full of pictures, as well as his relationships with them. He believed that his employees and customers were family and he treated them that way. 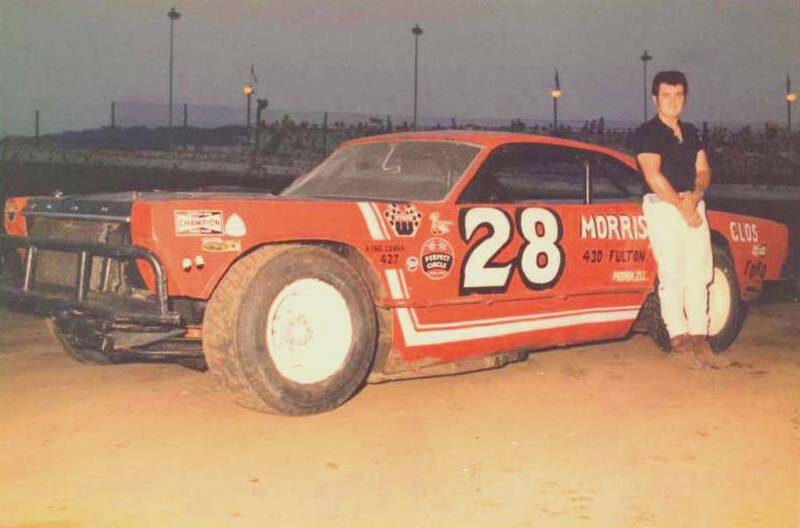 He raced motorcycles and stock cars locally and advanced to the ARCA and USAC circuits, racing at many tracks across the country including Daytona, Pocono and Texas World Speedway. He continued to enjoy the sport and the people. He accepted Jesus Christ into his heart in 1979 and attended Agape Fellowship, enjoyed reading the Bible, and later attended Calvary Baptist Church. James Warren Townsend, 72, of Kewanee, died at 2:15 a.m. Tuesday, Feb. 23, 2010, at his home. Funeral services will be at 11 a.m. Monday, March 1, at Schueneman-Tumbleson Funeral Home, Kewanee, the Rev. Dr. Kevin Siscoe of First Baptist Church and the Rev. Jerry Rafalko officiating. Military honors will be accorded at the funeral home by the Kewanee Veterans Council. Cremation will follow the services and private family inurnment in Pleasant View Cemetery, Kewanee and scattering in Colorado will take place at a later date. Visitation will be from 2-4 p.m. Sunday at the funeral home. Memorials may be directed to First Baptist Church of Kewanee or Kewanee Hospital Hospice. Deer Creek - Jimmy D. Hisle, 45, of 213 Main St. died at 11:50 p.m. Monday, June 20, 2005, at his residence. Born June 26, 1959, in Pekin to James and Nina Flier Hisle, he married Lesley Roberts on June 25, 1999, in Bloomington. She survives. Also surviving are one son, Daniel Roberts of Deer Creek; two half sisters, Judy (and Thomas) Lowman of Manito and Connie (and Eugene) Pumphery of Peoria; and one half brother, Danny Hisle of Tennessee. He was preceded in death by his parents. EAST PEORIA - James E. VanOppen, 54, of 206 Court St. died at 7:15 a.m. Saturday, Dec. 6, 2003, at OSF Saint Francis Medical Center in Peoria.He was born July 13, 1949, in Peoria to Delbert H. and Eileen R. Young VanOppen. Surviving are two sons, Dason and Derick, both of St. Louis; Judy Guymon, with whom he made his home for more than 15 years; her daughter, Cindy Guymon of Morton, whom he helped raise; her son, Shawn Guymon of East Peoria, whom he helped raise. Peoria, IL ? John E. ?Sluggo? Shannon, 45, of Peoria, passed away at 8:07 a.m. on Friday, March 14, 2014 at his home. He was born May 17, 1968 in Peoria to Herb and Beverly (Ward) Shannon Sr. Surviving are his mother and step-father, Beverly (Theron) Bradshaw of Peoria; step-mother, Donna Shannon; son, Jonathon ?JD? Shannon of Pekin; daughter, Alexis Shannon of Pekin; 2 brothers, Herb (Cyndi) Shannon of Peoria, Dan (Sharon) Shannon of ...Idaho; sister, Jenniffer Shannon of Champaign; soul mate, Dena Schorn of Peoria; many cousins, nieces, nephews, and extended military and motorcycle family. He was preceded in death by his father, Herb Shannon Sr. He was a member of the Black Pistons Motorcycle Club, Peoria Chapter. John was a United States Air Force Veteran, serving 7 tours of duty in the Middle East before retiring after 26 years of service to his country from the Peoria Air National Guard 182nd Airlift Wing. He enjoyed stock car racing, riding his Harley Davidson, and was an accomplished pool player. Visitation will be from 5 to 7 p.m. Thursday, March 20, 2014 at the Davison-Fulton Woodland Chapel in Peoria. Cremation will be accorded following the visitation. In lieu of flowers memorials may be made to A.B.A.T.E. State of Illinois. EAST PEORIA - John D. O'Laughlin, 62, of rural East Peoria passed away at 1:30 a.m. Saturday, Oct. 3, 2009, at Proctor Hospital in Peoria. He was born Oct. 21, 1946, in Peoria to Michael and Eunice DeRaedt O'Laughlin. He formerly was married to Stephanie L. Montgomery. She survives, of Sunnyland.He also is survived by two sons, Bryan (Dena) O'Laughlin of Bartonville and Kelly (Traci) O'Laughlin of East Peoria; one daughter, Megan O'Laughlin of St. Louis, Mo. ; five grandchildren, Connor O'Laughlin, Drew and Chase Burgess, and Reilly and Kelsey O'Laughlin; one brother, James (Jackie) O'Laughlin of Germantown Hills, Ill.; and one sister, Barbara (Ron) Russell of Toledo, Ohio. He was preceded in death by his parents.John worked in the Logistics Department at Caterpillar Inc., retiring in 2002. He was a U.S. Air Force veteran, serving during peacetime. John started the Springfield Junior Blues and Peoria Mustangs Hockey Teams. He was a former drag racer and stock car racer, racing under the name of Johnny O. He was a member of Central Illinois Cruisers Car Club. He was the former owner and operator of Protow Custom Trailers in East Peoria.He attended St. Mary's of Lourdes Catholic Church. Cremation rites will be accorded. There will be no services, at John's request. Wright & Salmon Mortuary is in charge of arrangements. My name is J headley and i stumbled upon your website featuring old timers. I am wondering if you know of Hoffer's Death Valley Track? I have a article(s) from the newspaper concerning my grandfather Kenneth E. Headley who raced there back in 49-51 i believe. he wrote a book and we have some cd's with video of him telling stories of racing. My great-grandmother kept every newspaper clipping and any other memorabilia she could get that included my grandpa. I know he raced in Peoria as well as Fairbury (where we are from) and that he was GOOD! i have a few of his trophies from back in the day. anyway i was wondering if it would be possible to include a part of his legacy in your website. I would like to learn more about some of the people over there to know if he raced with them. He was 21 years old when he shattered the track record at the above mentioned track. This would have been on Sunday, Sept. 30th 1949. I believe that Peoria track was purchased in 1950 although i am not sure and i cannot find any information on Hoffers which leads me to assume that it is possibly the old Hoffer track and the name changed when purchased.(????????) I hope that you can shed some light on the subject for me and i look forward to hearing from you. I have a copy of my g-pa's book that has a whole section dedicated to racing. 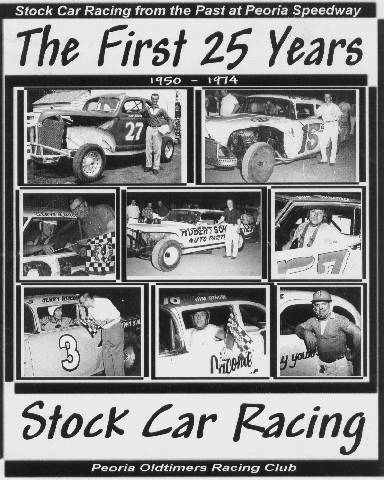 if you are into old school racing, there is an abundance of pics and stories in there with a lot of people from Peoria area included. i believe the library in town has a copy as well that can be checked out. I hope this finds you well and i appreciate your site and interest in old timers. PEORIA - W. Kenny "Buck" Smith, 38, of Peoria died at 2:25 a.m. Saturday, April 14, 2007, at OSF Saint Francis Medical Center. He was born Sept. 12, 1968, in Peoria to William H. and Wanda L. (Guinn) Smith. He married Carla Vecera on Oct. 17, 1998, in Bartonville. She survives. Also surviving are his mother, Wanda (Robert) Bailey of Bloomington; one daughter, Jennifer Smith of Peoria; two sisters, Terry Wills of Murphysboro, Tenn., and Mary Bailey of Bloomington, Ill.; three grandchildren, Courtney, Kaitlyn and Emily Smith, all of Peoria; and his mother-in-law, Carol Vecera of Peoria. He was preceded in death by his father and one sister, Patricia Smith. He was a sportsman and was self-employed as an auto mechanic. Cremation will be accorded. Schmidt-Haller Burial and Cremation Services is in charge of arrangements. Burial of ashes will be at a later date. A memorial luncheon will be held from 1 to 4 p.m. on Wednesday, April 18, 2007, at the Limestone American Legion Post 979. Memorials may be made to the Kenny "Buck" Smith family memorial fund at Bartonville Bank. FAIRVIEW - Oliver Leroy Bauman, 62, of 75 East St. died at 2:45 a.m. Saturday, March 8, 2003, at his residence. Born March 13, 1940, in Fairview to Charles Willard and Iva Lee Robinson Bauman, he married Clarsice M. Trone on Oct. 5, 1958, in Canton. She survives. Also surviving are two sons, Robert Sr. (and Melissa) and Charles, both of Fairview; three daughters, Rebecca (and Garry) Swibold and Lee Ann Bauman, both of Fairview, and Lisa (and Robert) Laird of Dudley, N.C.; two brothers, Willard (and Sheryl) of Canton and Lionel (and Sharon) of Peoria; one sister, Phyliss Shearer of Denver; and 10 grandchildren. He was preceded in death by one grandson, one brother, one sister and one half-sister. He was a meat cutter in the Peoria area for several years and worked as a wholesale grocery meat director for Loda Poultry Co. in Loda. He owned and operated Butcher Block Meats and Grocery. He was a member of Frank N. Nichol 1170 Masonic Lodge, AF&AM, in Creve Coeur and the AASR Valley of Quincy Consistory. He was an avid stock car racer at the Peoria and Spoon River speedways. He was a member of Marquette Heights Baptist Church in Marquette Heights. Services will be at 11 a.m. Wednesday at Oaks-Hines Funeral Home in Canton. The Revs. Tom Cox, Don Smith and Garry Gunther will officiate. Visitation will be from 5 to 8 p.m. Tuesday at the funeral home, with a Masonic service at 7:45 p.m. Burial will be in Fiatt Cemetery in Fiatt. Memorials may be made to the American Heart Association or to the American Diabetes Foundation. Leslie Earl Peterson Sr, 89 of East Peoria, passed away Thursday, December 27, 2018 at his home in East Peoria. Born May 26, 1929 in Camden, Illinois to Lawrence and Stella (Race) Peterson; he married JoAnn Shields on January 10, 1956 in Peoria. She preceded him in death on May 5, 2016 in Peoria. Surviving are his children, Les (Juli) Peterson, Jr. of Morton, Debra Lowman of East Peoria, Linda (Doug) Randall of Creve Coeur, and Robert Peterson of Washington; six grandchildren, Joy (Eric), JR (Sarah), Mark, Luke, Noah and Logan; and five great grandchildren, Zachary, Ethan, Haley, Charlotte and Jude. He was preceded in death by his stillborn son, Joseph; stillborn granddaughter, Christa, and sister, Elizabeth Maloney. Leslie was a US Army veteran serving in Alaska during the Korean Conflict. 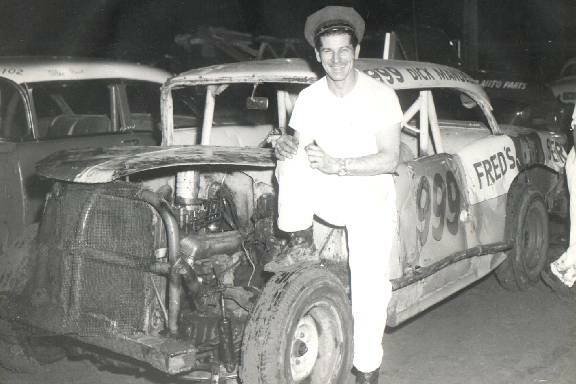 He loved stock car racing and competed at tracks all over the Midwest. He also loved fishing, hunting, dogs and raising strawberries in his garden. Funeral services will be at 2:00 pm Thursday, January 3, 2019 at Remmert Funeral Home in East Peoria with visitation one hour prior to the service. The Rev. Fred Doughty will officiate. Burial will follow at Roberts Cemetery in Morton. Memorials are suggested to TAPS in Pekin. Born : September 20, 1925 - Passed on March 14, 1987 at Home in Bloomington. PRINCETON ? Loren ?Kookie? Wetsel, 71, of Princeton passed away Tuesday, Oct. 18, 2016, at Colonial Healthcare and Rehabilitation Centre in Princeton. He was born Jan. 7, 1945, to Willis Orin and Daisy Viola (Taylor) Wetsel in Nevada, Mo. He married Paula Janes on Sept. 7, 1968, at the Ohio Methodist Church. Kookie graduated from Bradford High School in 1962. He was a union laborer. He enjoyed stock car racing and spending time in the garage. He was inducted into the Peoria Old Timer?s Racing Club. He is survived by his wife, Paula; two sons, Steve (Lora) Wetsel and Gary (Nichole) Wetsel; and five grandchildren, Jordan, Ryan, Dillon, Austin and Taylor. Kookie was preceded in death by his parents and his brother, Frank. A Celebration of Life service will be held at a later time. Cremation has been accorded. 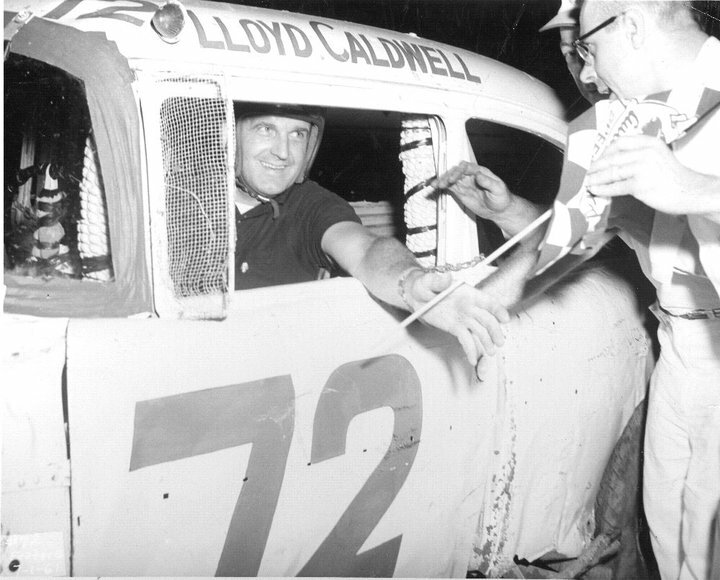 Lloyd Caldwell, Jr., 78, of Bradenton,Florida died August 7, 2004. Born November 2, 1925, in Lincoln, Ill., he moved to Bradenton in 1992 from Sarasota where he had lived since 1972. He was a member of First Baptist Church of Bradenton. He was in the Merchant Marines for 4 years. He was manager of Promenade Condo from 1992 to 2003. He is survived by his wife Treece, son John of Riverton, Ill., daughters Jane Brewer of Santa Fe, N.M., Ann Yocum of Chatham, Ill. and Chris Elam of Riverton, Ill. and six grandchildren. Visitation will be from 6-8 p.m. Tuesday, August 10 at Brown & Sons Funeral Homes 43rd St. Chapel 604 43rd St. W., Bradenton, FL 34209. Funeral will be at 11 a.m. Wednesday, August 11 at First Baptist Church of Bradenton 1306 Manatee Ave. W., Bradenton, FL 34205. Memorial donations may be made to the First Baptist Church Music Ministry. Obituary ..... East Peoria ? Frankie H. ?Pete? McIntosh, 78, of East Peoria, died at 3:09 AM on Friday March 8, 2013 at Methodist Medical Center in Peoria. He was born October 3, 1934 in Granite City, IL to Cornell and Nancy Chapman McIntosh. He married Amanda L. Boucher on February 14, 2010 in Peoria. She survives. Also surviving are seven children; Shelia (Jim) Ewell of Pekin, Penny (Brad) Rodgers of Peoria Heights, Nancy McIntosh of El Paso, Jeff (Lisa) McIntosh of Chicago, Gary (Linda) McIntosh of Peoria Heights, Bryan (Donna) McIntosh of Washington , Phillip (Theresa) McIntosh of Peoria , two step-sons; Blaine and Eric Reichard of East Peoria, ten grandchildren, five great-grandchil...dren and one sister; Rosie (Bill) Brown of St. Louis and many nieces and nephews. He was preceded in death by his first wife Janita in August of 2009, his parents, four brothers and three sisters. He was a US Marine, serving during the Korean War era. Pete worked 25 years for Peoria Blacktop. He also owned and operated Mac?s New Place in Spring Bay and D & O Mini Storage in Spring Bay. He loved NASCAR. It was his life and he was a huge Dale Earnhardt fan. There will be a funeral for Pete on Tuesday March 12, 2013 at 1:30 PM at Deiters Funeral Home and Crematory in East Peoria. There will be a visitation one hour prior to the funeral. Burial will be in Parkview Cemetery in Peoria. Memorial Contributions may be made to the American Cancer Society. Ralph McAvoy - D - Pekin Ill.
Ray C. "Tiger" Black, 83, Colchester, died at 9:30 a.m. Sunday Nov. 12, 2000, at the Morton Terrace Nursing Home in Morton. He was born May 17, 1917, in Sciota to William Keller and Eliza Ellen Helton Black. He married Margaret A. Lescallett on Nov. 19, 1944, in Macomb; she survives. Other survivors include: two sons, Allen Black, Monmouth, and Gary (Therese) Black, New Lenox; one daughter, Jamie (Ralph) Stone, Mackinaw; five grandchildren; one great-grandchild; and one sister, Margaret DeCamp, Chenoa. He was preceded in death by his parents; one brother, Bert Black; and four sisters, Myrtle Britton, Ava Flynn, Beulah Titus and Lillie Larner. Ray served in the National Guard from 1937-1940 and then in the U.S. Navy from 1943-1945. He was a Golden Gloves boxing champion in 1936 and was a boxing instructor in the National Guard; he also boxed in the Navy. He was active with the local youth boxing association for several years. He was a charter member of the Illinois Sheriffs Association, a life member of American Legion Post #6 and VFW Post 1921. He raced stock cars for nine years and was a volunteer at Macomb Speedway for several years. He served as a Macomb Police Officer for a short time and briefly worked for King Seeley in Macomb. He owned and operated Black Transfer for 69 years. He attended the First Christian Church of Macomb. Funeral services were held at 11 a.m. Thursday, Nov. 16, 2000, at Dodsworth-Piper-Wallen Funeral Home, with Pastor Frederick Larner officiating. Burial will be in Forest Lawn Memory Gardens. Raymond C. Guss, Sr., 73, of Calhoun, Georgia, formerly of Coal Valley, Illinois, passed on Thursday, November 21, 2013, at his home, with his wife of 54 years, Margaret, by his side. NORTH PEKIN -- Robert Lee Speck, 61, of 14 Glen Lane, formerly of Tremont and Groveland, died at 2:08 p.m. Saturday, Jan. 31, 1998, in the emergency room at Pekin Hospital. Born April 30, 1936, in Metamora to John Henry and Violet Myrtle Bohlander Speck, he married Delores N.G. Stolt on Aug. 30, 1969, in Pekin. She survives. Also surviving are three sons, Darrel and Dale, both of North Pekin, and Dennis of Kingston Mines; one daughter, Lannette Speck of Kingston Mines; three sisters. MALDEN - Ronald "Ron" Woodford, age 59, of Malden died at 6:45 a.m. Monday, Jan. 4, 2010, at Casa de la Luz Hospice in Tucson, Ariz., surrounded by his family. He was born in Peoria on June 22, 1950, to Charles E. and Eva Swanson Woodford. He married Janice Hamm Hoffman on July 7, 1996. Ron is survived by his wife; three daughters, Stacy (Brent) Dykstra of Kewanee, Rhonda (Jim) VanDeVoorde of Aurora and Jodi (Dan) Saletzki of Tiskilwa; two stepsons, Craig (Katrina) Hoffman of Princeton and Kevin Hoffman of Malden; one stepdaughter, Stacey (Scott) Mecum of Kasbeer; 12 grandchildren, Drew, Reese and Chase Dykstra, Nick, Alec and Kylee VanDeVoorde, Kayla, Avery, Carter and Danica Saletzki, Kristina Hoffman and Mackenzie Hoffman; one sister, Joy (Walt) Anderson of Peoria; sister-in-law, Pat Woodford of Bradford; mother-in-law, Nora Hamm of Princeton; and his beloved bulldog, Dozer.He was preceded in death by his parents and one brother, Leon Woodford.Ron and Janice owned and operated the Feed Store restaurant and Hawg House motorcycle shop in Malden. They enjoyed their winters vacationing in Arizona and riding their Road Kings together. Services will be at 10:30 a.m. Tuesday, Jan. 12, 2010, in the Grant-Johnson Funeral Home in Princeton, with Pastor Heath Beard officiating. Visitation will be from 3 to 7 p.m. Monday, Jan. 11, 2010, at Grant-Johnson Funeral Home in Princeton. Cremation rites will be accorded after services, with a burial at a later date. Six brothers and sisters, Betty Kyle of Clinton; Norma Rich of Clinton; Mary Burton of Clinton; Jerry Roseman of Decatur; Sally Wellman of Fla.; and Ted Roseman of Clinton; Six grandchildren and six great-grandchildren. His parents, one son Terry Roseman and one sister preceded him in death. Rosey was retired from Caterpillar Tractor Company in Decatur. He was a veteran of the U.S. Army. Peoria ? Rudy Hoerr, 91, of Peoria, died at 8:30 a.m., Tuesday, November 20, 2012, at his residence. He was born May 9, 1921, in Milford, Indiana, to David A. and Rose Y. Yoder Hoerr. He married Annie Tyrrell on December 13, 1941, in Peoria. She preceded him in death on November 12, 2001, in Sycamore, Illinois. He is also preceded in death by two brothers. He is survived by his children, Linda (Michael) Gardiner, of East Peoria, Irvin (Cheryl) Hoerr of South Padre Island, Texas, Scott (Karen) Hoerr of Seffner, Florida; six grandchildren; 18 great-grandchildren; his brothers, Carl (Evelyn) Hoerr of Peoria, Jim (Virginia) Hoerr of Peoria, John (Dorothy) Hoerr of Edwards, George Hoerr of Brimfield; his sisters, Marie (Reuben) Huber of Peoria, Mildred (Art) Moser of Peoria, Florence (Tom) Barkley of Peoria, Eloise Meister of Peoria as well as many nieces and nephews. He was a World War II veteran, serving in the United States Army Air Corps, the United States Air Force, and was a charter member of the Illinois Air National Guard, 169th Fighter Squadron, retiring as a Lt. Colonel, after many years of service to his nation. He and his brothers, Jim and John, were co-owners of D. A. Hoerr & Sons Landscaping in Peoria. He and his wife Annie, formed R/A Hoerr, Inc., an automobile racing company which is now Hoerr Racing Products. He and Annie were both inducted into the Greater Peoria Sports Hall of Fame. He was a member of USAC, the United States Automobile Club. He was the first president of the Richwoods School Board.Rudy was a member of Peoria Apostolic Christian Church, where services will be held at 10:00 a.m., Saturday, November 24, 2012. The church ministers will officiate. Visitation will be from 4:00 to 8:00 p.m., Friday November 23, at the Wilton Mortuary in Peoria, and from 9:00 to 9:45 a.m., Saturday morning at the church. Burial will be in Swan Lake Memory Gardens in Peoria. December, 21, 2008 DAVENPORT ? Russell Charles Ewoldt, 78, of Davenport passed away Friday, December 19, 2008, at Genesis Medical Center West Campus, Davenport. Funeral services are Tuesday, December 23, 2008, at 2:30 p.m. at the Runge Mortuary. Visitation is from 12:30 until 2:30 p.m. Tuesday at the mortuary. Burial will be in Davenport Memorial Park. Memorials may be made to the family. Russell was born on June 30, 1930, in New Liberty, Iowa, the son of Charles F. and Margaret (Rohlfs) Ewoldt. He was united in marriage to Carol Breckling on January 14, 1956, at St. Mark's Lutheran Church in Davenport. Russell was a veteran of the U.S. Army having served in Korea. Russell worked at Farmall for 22 years retiring in 1985. After retirement he worked for Builders Cement in Davenport for several years. Russell's passion was stock car racing. 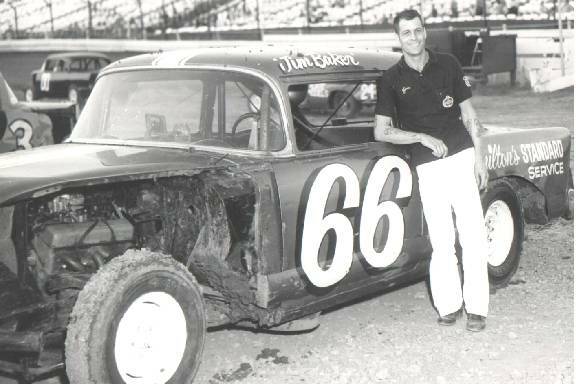 He raced and owned cars from 1960 until 1973 and was an avid NASCAR fan until the end. He is survived by his wife, Carol; daughter, Rita (Paul) Schroeder; granddaughter, Ashley Wiechman; sister, Henrietta (Robert) Poppe; sister-in-law, Karen (Robert) Spring; numerous nieces and nephews. PEORIA - Russell E. Porter, 88, of Peoria died at 9:47 a.m. Sunday, Dec. 29, 2002, at Proctor Hospital. Born Sept. 28, 1914, in Peoria to William H. and Charlotte D. House Porter, he married Marjorie V. Finnegan on Nov. 24, 1939 in St. Louis. She survives. Also surviving are two daughters, Carol (and Dave) Lowery of Hanna City and Judith (and Rod) Wand of Morton; and eight grandchildren. He was preceded in death by one brother, one sister and three infant granddaughters. MOLINE ? Vernon ?Shorty? L. Bennett, 82, of Moline, died Sunday, August 29, 2010, at Trinity Rock Island. Funeral services will be 11 a.m. Friday, September 3, 2010, at Esterdahl Mortuary & Crematory, Ltd. 6601 38th Avenue, Moline. Visitation will be today from 3 to 8 p.m. at the funeral home. Interment will be at Roselawn Memorial Estates, Moline. Memorials may be made to his family. Shorty was born December 5, 1927, in Plano, Iowa, to George E. and Bessie M. Elder Bennett. He married Connie Brown on June 16, 1956, in East Moline. Shorty was employed as a truck driver with Oscar Mayer for 30 years retiring in 1982. He was then employed by various other companies as a truck driver but was currently a self employed driver for local car dealerships. Shorty was a World War II Army Veteran and was a member of the Moline American Legion Post #246. He enjoyed fishing, hunting and camping. 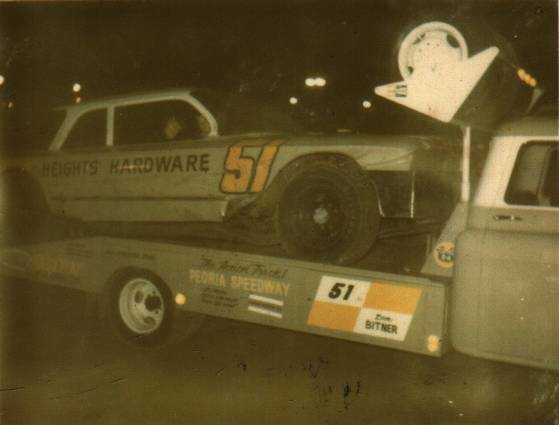 Shorty was a very well known stock car racer throughout the mid-west for over 24 years and was a member of three stock car halls of fame. Survivors include his wife, Connie, Moline; four children, Danny (Denise) Bennett, Silvis, Greg (Jacki) Bennett, Moline, Brenda (Scott) Schaefer, Davenport, and Todd (Terri) Bennett, Rapids City, Ill.; 12 grandchildren and three great-grandchildren; one sister Lorene Stroud, Bettendorf. Shorty was preceded in death by his parents, six sisters and three brothers. MINONK - Gene A. "Shorty" Kalkwarf, 69, of 635 E. Sixth St., Minonk, passed away at 5:28 p.m. Sunday, Dec. 23, 2007, at Leesburg Regional Medical Center in Leesburg, Fla. Funeral services will be at 11 a.m. Saturday, Dec. 29, 2007, at Immanuel Lutheran Church in Minonk. Pastor Craig Swenson will officiate. Burial will be in St. Petri Lutheran Church Cemetery in rural Flanagan. Visitation will be from 4 to 8 p.m. Friday at Ruestman-Harris Funeral Home in Minonk and one hour prior to services at his church. Shorty was born Jan. 11, 1938, at Flanagan, a son of Henry and Bertha Flohr Kalkwarf. He married Barbara Ehresman on Sept. 21, 1958, at Salem Mennonite Church in rural Gridley. She survives Other survivors include a daughter, Sharie (Bob) Hansen of Broken Arrow, Okla.; two sons, Terry (Jane) Kalkwarf and Larry (Nikki) Kalkwarf, both of Minonk; two sisters, Joan (David) Seifert of Michigan City, Ind., and Jane (William) Diaz of Pontiac; five grandchildren, Matt (Valerie) Kalkwarf, Brianna Kalkwarf, Jayden Kalkwarf, Danielle Kalkwarf and James Kalkwarf. He was preceded in death by his parents. He was a member of Immanuel Lutheran Church in Minonk. He served on the board and was a member of Tall Oaks Country Club in Toluca. He was previously the owner of Shorty's Soil Service and had worked at Burroughs Ag Service, Stoller Implement and lastly Uftring Automotive in Minonk. He also was the owner and operator of Shorty's Signs.Shorty was an avid stock car driver and fan. After many years of racing himself, he taught others the sport. He was an avid fan of Dale Earnhardt Sr., the Chicago Cubs and the Chicago Bears. He enjoyed golfing in Illinois and Florida and spending time with his family and many friends. He was a loving husband, father, grandfather and brother. .
Norwood - Stanley J. ?Buster? Musgrave Jr., 53, of Norwood, died at 11:12 a.m. Friday August 24, 2012 at OSF St. Francis Medical Center in Peoria. He was born on September 10, 1958 in Peoria to Stanley Joe and Rae Jeanne (Guillams) Musgrave. He is survived by his father of Elmwood, daughter Samantha Musgrave-Renfrow of Atlanta, IL, sister Emily (Cliff) Welker of Farmington and brother Kenny of Elmwood. He also had two beloved pets, Sampson and Tigger. Stan loved the outdoors, hunting, fishing, stock car racing and his ?Harley? motorcycle. Hunting with his buddies, especially at their cabin on the Mississipi river was his passion. He was already making plans for the new season this fall. Stan followed his dad?s footsteps by working as an auto mechanic most of his working years. He was hired by Komatsu American Corp. in June of 2012. He loved his new job. He had an instant bond with his co-workers. He also was a U.S. Army veteran. Funeral services will be held at 1:00 p.m. on Wednesday August 29 at Oaks-Hines Funeral Home in Elmwood, where visitation will be held two hours prior. Rev. Dennis Fitzgerald will officiate. Burial will be at Elmwoood Cemetery in Elmwood. Memorials may be made to the charity of the donor?s choice. BLOOMINGTON - Stanley Swearingen, 78, Bloomington, died at 11:18p.m. Thursday (Jan. 6, 2011) at Heartland Health Care, Normal. His memorial service will be at 7 p.m. Monday at Calvert &Metzler Memorial Home, Bloomington, with the Rev. Chad Sparksofficiating. Private family inurnment will be at a later date.Visitation will be from 5 to 7 p.m. Monday at the memorialhome. In lieu of flowers, memorials may be made to the American CancerSociety. He was born March 4, 1932, at McLean, son of Thomas and AdelineCornelius Swearingen. He married Pat Wittmis on Oct. 18, 1959, atBloomington. Pat survives. Also surviving are three sons, Mark Swearingen, Champaign; and BradSwearingen and Kent Swearingen, both of Bloomington; onegranddaughter, Danielle Marie Swearingen; and two sisters, EllenCarpenter and Marilyn Geskey, both of Bloomington. He was preceded in death by his parents, five brothers and twosisters. Stanley was a U.S. Army veteran. He was retired from Nicor Gasafter 30-plus years of service. He was an avid stock car andCardinals baseball fan. Online condolences may be submitted from www.calvertmemorial.com. PEORIA - Steven L. Ament, age 66, of Peoria passed away at 3:15 p.m. Tuesday, Jan. 7, 2014, at his residence. He was born July 25, 1947, in Yorkville, Ill., to John "Bob" and Louise (Bornemeier) Ament. He married Janie (Hamby) on June 24, 1999, in Peoria. She survives, along with one son, Steve (Dawn) Ament of College Station, Texas; one daughter, Wendy (Shawn) Hale of Brimfield; and five grandchildren, Tristan and Audrey, both of College Station, Texas, and Brandon, Gavin and Autumn, all of Brimfield. He was preceded in death by his parents. Steve graduated from Yorkville High School in 1965 and from the University of Illinois in 1969. Steven began his career with Caterpillar Inc. within the Engines Division, serving in positions of increasing responsibility within U.S. and overseas markets throughout his career. He retired from Caterpillar following 30 years of faithful service. Steven has most recently been employed by Morton Supplies (of Morton, Illinois). He immensely enjoyed working on and restoring automobiles, was an avid motorsports fan, and enjoyed volunteering at the South Side Mission during holidays. Steve was an avid pool player, playing in several Peoria area pool leagues. He was a veteran of the United States Army. Funeral services will be at 2 p.m. Sunday, Jan. 12, 2014, at Davison-Fulton Woodland Chapel in Peoria. Visitation will be two hours prior to the services. Cremation rites will be accorded following the services. Memorials may be made to the South Side Mission at 1127 S. Laramie St., Peoria, Ill. Tracks in Illinois & Missouri. Leaves Behind Wife Marlene in Peoria. ELMWOOD - Wallace B. Satterfield, 84, of Elmwood passed away at 3:20 p.m. on Tuesday, June 12, 2012, surrounded by his loving family at his home. He was born on July 1, 1927, in Keokuk, IA, to Frank and Cecile (Loeffler) Satterfield. He married Kathy Metz on July 24, 1948, in Peoria, IL. She survives. He was a loving father to his four surviving children Larry (Sue) Satterfield of Brimfield, Betty (Doug) Dean of Dunlap, Tom (Nancy) Satterfield of Brimfield, and Jim (Lori) Satterfield of Laura; and a wonderful grandfather to his ten grandchildren Tom, Laura, and Marsha Satterfield, Sean (Melissa) Dean, Heather (Jason) Lied, and Brian Dean, Mindy and David Satterfield, Josh (Tiffany) Lopeman, and Zach Robertson. He has six great-grandchildren which he greatly enjoyed. He also has two half-sisters Lauri (David) Roszak and Mary (Kevin) Tritsch. He was preceded in death by his parents and his younger brother, Francis ?Bud? Satterfield. He was a WWII veteran of the U.S. Navy, serving as MMM3C on the USS Arcturus and the USS Kermit Roosevelt in China and Japan. After the war he became a mechanic and was a member of Teamsters Local 627 until he retired in 1985. He farmed for forty years and also acquired his pilot?s license at the age of 55. He was a member of the Brimfield American Legion, NRA, EAA, Pietenpol Airplane Club, and Yates City Flying Club. He was an avid auto enthusiast and was active in I.M.C.A., USAC, NASCAR, ARCA, SCCA, and Chevrolet factory racing, where he initiated several performance innovations for factory teams and local short track racing. 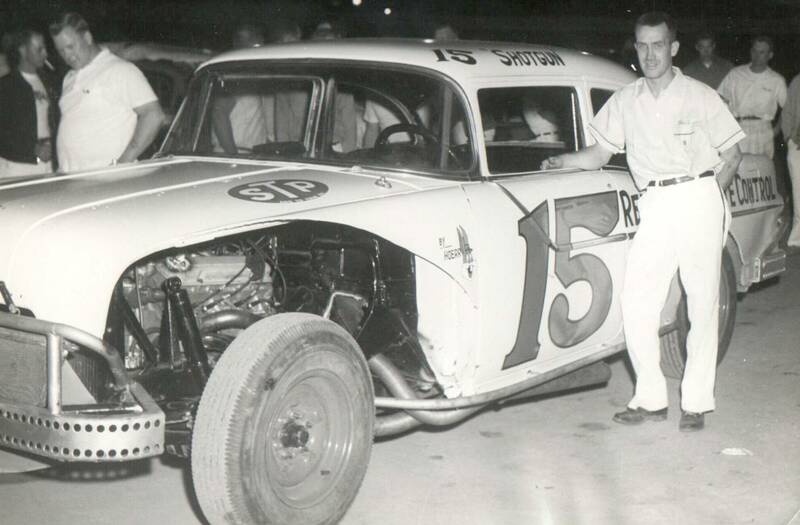 As a car owner and engine builder, he held many track records and track championships with drivers: Herb Shannon, Les Snow, Johnny Beauchamp, Steve Lance Sr., Don Hager, Joe Wyatt, son Larry Satterfield, and many others. He was the tech inspector at Peoria Speedway and Knox County Speedway. He was inducted into the Peoria Old Timers Club for his involvement in auto racing from the 1940?s until 2011. He also enjoyed camping with his family, antique cars and antique tractors. We would like to thank the Veterans Administration, Spoon River Home Health Services, BYE Ambulance, OSF Hospice, Rev. John Verrier, and our many friends for their help and support during this difficult last year. A memorial service will be Thursday, June 21, 2012 at 10:30 a.m. at Wright & Salmon Mortuary. Rev. John Verrier will officiate. Visitation will be Wednesday, June 20, 2012 from 5-8 p.m. at Wright & Salmon Mortuary and thirty minutes prior to the service. Burial will be in Brimfield City Cemetery in Brimfield. Memorials may be made to National Parkinson Foundation, St. Joseph?s Catholic Church in Brimfield, or Brimfield Fire Department. Waylon-Willie Benjamin Grant, 31, of Pekin, passed away at 11:40 a.m. Friday, July 27, 2012, in Peoria. Born Oct. 15, 1980, in Peoria, to Donald Peter Jr. and Pamela Ruth (Sutter) Grant, he married Angela Renee ?Angie? Ramsey on April 11, 2009, in Pekin. She survives. Also surviving are his mother and step-father, Pamela and Mikel Schlipf of Peoria; father, Donald Grant Jr. of East Peoria; two sons, Austin James Puddy of Greenview and Jordan Mikel Grant of Pekin; one daughter, Angel Renee Puddy of Greenview; one step-son, Grant Ray DeWitt of Pekin; one step-daughter, Ravyn Alexis DeWitt of Pekin; two sisters, Angela (Steven Shipman Jr.) Grant of East Peoria and Windy (David) Bachman of Peoria; two brothers, Donald (Karmin) Grant III of Pekin and James (Stephanie) Grant of Washington; 11 nieces and nephews; and his step-grandmother, Irene Stevens of Peoria. A self-employed mechanic, Waylon enjoyed dirt track racing. His racing number was 24W. He participated in the Pekin Relay for Life. He attended LaMarsh Baptist Church in Mapleton. His funeral will be at 10 a.m. Friday, Aug. 3, at Preston-Hanley Funeral Homes & Crematory in Pekin. Pastor David Sexton will officiate. Visitation will be from 5 to 7 p.m. Thursday at the funeral home. Burial will be in Fondulac Cemetery in East Peoria. In lieu of flowers, memorial contributions may be made to an educational fund for his children in care of the funeral home ..
Only $14.00 Per Copy w/Free Shipping !!! Driver #12 Ray Guss Sr.
Driver #22 Steve Lance Sr.
2011 PORC Hall of Fame "Inductees"